The oldest lodge in the jurisdiction of Massachusetts, St. John's Lodge Boston was granted the first charter by Grand Master Henry Price in St. John's Grand Lodge in 1733. Its history is inextricably linked with that Grand Lodge's history, and its records are commingled in Volume I of the Proceedings. Fourth Estate Lodge merged here, 05/23/1985. W. George Blake, S. W.
W. William Allen, J. W.
J. B. Hammett, S. D.
The Grand Lodge of Massachusetts lias recently regained possession of several volumes of Records which have long been missing, and which were supposed to have been irrecoverably lost. Among the most important and valuable of these are the Records of the Massachusetts Grand Lodge from 1769 to 1792 — being from the organization until the union with St. John's Grand Lodg ; the Records of the First Lodge in Boston, from 1738 to 1754; those of the Second Lodge in Boston, from 1761 to 1775, and those of the Master's Lodge, from 1738 to 1761. Bro. Thomas Walker, Senior Warden. The penmanship throughout the volume, with the exception of the first year, is beautiful, aud would be highly creditable to the most accomplished professor of the art in the present day. As a sample, we present a facsimile of the most elaborate page. The book opens with a copy of the deputation of Henry Price, granted by Montague, Grand Master, and dated "at London the thirtieth day of April, 1733, & of Masonry 5733." Next follow the By-Laws, which are so quaint and curious that we give them in full. First. NO PERSON shall be made a Mason unless all the Brethren members Present are Unanimous, and if but one member be against him he shall be rejected. Secondly. NO BROTHER shall be admitted a Member of this Lodge unless all the Members Present are unanimous as aforesaid, and upon his or their admission shall pay twenty shillings, as also their Quarteridge, agreeable to a former vote, (so many Lodge nights as is past of that Quarter to be first discounted) and shall consent to the By-Laws and Regulations of this Lodge by subscribing their names to the same. Thirdly. NO BROTHER OR BROTHERS shall eat any victuals in the Lodge Room while the Lodge is open, without the leave of the Master or Wardens, nor call for Liquor or Tobacco without Leave as aforesaid. Fourthly. ANY PERSON OR PERSONS being balloted in may be made on a private night by dispensation from the Master and Wardens—Provided the Expence of that Lodge be not taken out of the money that is paid for such making, but every Brother present at such private making shall pay his Clubb or share of that Expence. Fifthly. NO BROTHER that lives within or about this Town (that is not a member of this Lodge) shall l>e admitted as a Visitor, before he has Signi¬ fied his desire of being a member and paying his Quarteridge, or else make it appear that he is actually a member of a Regular Lodge; Unless by a Dis¬ pensation of the Master and Wardens. Sixthly. EVERY VISITOR shall pay three shillings towards the Reckoning each night. Seventhly. NO BROTHER shall propose any Person in the Lodge to be made without first asking leave of the Master and Wardens. Eighthly. EVERY MEMBER of this Lodge shall pay eighteen shillings per Quarter for the Expence of the Lodge, and every member that does not pay his Quarteridge on the first l»dge night of the Quarter, or on the second at farthest (if Present), shall be Excluded from being a member, and all Privilidge of the Lodge. Ninthly. EVERY' MEMBER shall pay at least two shillings more per Quarter to be applied as Charity towards the Relief of poor Brethren. Tenthly. ANY MEMBER that proposes a Candidate, if voted or Balloted in, the member that proposed his friend, shall imediately deposit fourty shillings, in the hands of the Cashier, which shall be Allow'd as part of the Making, provided the candidate attends at the time he is proposed to be made, but if the candidate does not attend as aforesaid, being duly warned, the said Fourty shillings shall be forfeited and spent, and not allowed as part of that making. Eleventhly. THE TREASURER or Cashier of this Lodge, upon his quit¬ ting his office, or when another is chosen in his room, shall render a just and true Account to tha, Master and Wardens of the Lodge for the time being of all the money Received, Expended and Remaining in his hands, with the Lodge book and Accompts, which he is to deliver up to the Master and War¬ dens in order and fairly stated. Twelfthly. THE MASTER AND WARDENS of this Lodge shall take care that the Expence of a Lodge night (when there is no making) shall not Exceed three shillings per Member present for the Reckoning, which sum of three shillings per Member or Brother present, the Cashier has liberty to pay and no more. Thirteenthly. THE MASTER of this Lodge, or in absence (sic) the Grand Master, Deputy Grand Master, or Wardens, when there is a private Lodge ordered to be held for a Making, shall be obliged to give all the Mem¬ bers timely notice of the time and place in writing where such Lodge is held that they may give their attendance, and every member being duly warned as aforesaid, and neglecting to attend on such Private making, shall not be clothed. (THE above article voted November 14, 1733—5733). Fourteenthly. NO MEMBER that is absent from the Lodge of a Lodge night when there is a making shall have the Benefit of being cloathed for that time. In many respects this seems to be an admirable code of By-Laws. They are brief and to the point, not, as is often the case in more modern days, overloaded with provisions drawn from the ancient constitutions and landmarks which every Mason is bound to have graven on his heart and to make the rule of his daily life. They are so brief that they might be read at every meeting without wearying the members, and they are so explicit that there is no room for doubt or uncertainty: "every member that does not pay his Quarteridge on the first Lodge night of the Quarter, or on the Second at farthest (if Present) shall be excluded from being a member and all Privilidge of the Lodge." They require a unanimous ballot for membership, a principle from which some Lodges have departed, as we think unwisely. They deny Masonic privileges to those drones in our hives who are too lazy, too indifferent, or too stingy to perform any Masonic duties, and therefore remain unaffiliated. Many of the Grand Lodges in this country are seriously considering the propriety of going back to the old rule in this matter, and some have already adopted it. The Grand Lodge of New York, by its revised Constitutions, denies to unaffiliated Masons the right of visiting, joining in Masonic processions, or receiving Masonic aid or burial. Another good article in these By-Laws is the requiring of the consent of the Master and Wardens before proposing a candidate. In these degenerate days it would prove an additional safeguard against the admission of unworthy men, and in such cases would save the ill-feeling now so often engendered by rejection. The regulation in regard to eating, drinking and smoking while the Lodge was open was important in old times, because the meetings were always held in taverns. This practice was due partly to the fact that such houses afforded the only rooms for large assemblies, and partly to the fact that the Brethren partook of some refreshment together on every Lodge night, which could be more readily furnished at a public house than elsewhere. The thirteenth and fourteenth Articles undoubtedly refer to the use of aprons and gloves. Brother Lyon, in his History of the Lodge of Edinburgh, relates that "early in the seventeenth century it was a rule of the Lodge of Kilwinning that intrants should present so many pairs of gloves on their admission; but as the membership increased there was such an inconvenient accumulation of this article of dress that 'glove money' came to be accepted in its stead." He further informs us that "white gloves are known to have been worn in the Lodge of Kilwinning as the livery of the Craft, at the middle of the seventeenth century. About eighty years intervene before the Kilwinning records afford any trace of aprons or jewels (compass, square, plummet and level) being recognised as Masonic regalia. The minutes of the Lodge of Dunblane, January 8, 1724, contain a record of the presentation of aprons and gloves to three non-operative intrants. Liveries are not again mentioned in the Dunblane records till December 1, 1730, when "the members, taking into their consideration that it were very decent the Lodge were suitably cloathed every Saint John's-day, and did frankly wear the badges of a free and accepted Mason, conform to the order observed in many rightly constituted Lodges in Scotland and England, do therefore enact and ordain that each member of the Lodge shall on every Saint John's-day following put on and wear a white apron and a pair of white gloves as the � badge . . which gloves and aprons are to be kept by the Treasurer in a chest to be made for the purpose, to be given out to each member in due time each St. John's-day, or any other time which shall be thought necessary to put on the same." The sash, as part of the office-bearers' livery, was adopted in 1744; and jewels began to be worn in 1760, the year in which the Dunblane Fraternity joined the Grand Lodge, and in which also the custom of providing the young brethren with gloves and aprons was abolished. The item of gloves frequently appears among the payments recorded by the Secretary of the First Lodge, for example, in the second entry, under date of January 10,1738, "Gloves, &c, £10.16s.1d." In the same record appears "Memorandum 8 new aprons 40s." Immediately following the By-Laws, we find entered the Deputation granted to R. W. Robert Tomlinson as Grand Master by the Earl of Loudoun, under date of December 7, 1736. This is the entire record and is the counterpart of a large portion of those contained in the volume, many of them consisting solely of the names of the Brethren present, with the sum paid by each, and the amount of the Reckoning and the Tyler's fee. We with the utmost Pleasure received your hearty congratulation Upon the Establishment of Masonry in this our Island, and return thanks to Our Brethren of Boston, for the good Opinion they entertain of the virtues of Our Countrymen, which we hope will be continualy encreasing as the Royal Craft comes every day to flourish and gain ground among us, not only by the accession of numbers of New Brethren, but especially under the happy Influence Of our thrice Worthy Right Worshipfull Grand Master his Excellency William Mathew, whom we boast of as a true good Mason and a sincere lover and encourager of our inestimable Craft. We take kindly our Dear Brethren's offer of a friendly correspondence, and should before this time have signified the pleasure we hope to reap from it by an answer to yours of the fourth of April last, but that we waited for an Opertunity of sending our sincere and hearty good wishes to our Brethren and Fellows by the hands of one who might in our name greet you in a Brotherlike manner. We are now so happy as to enjoy this wish'd for opertunity by Our well beloved Brother Major John Murrys intending for Boston in a Very few Days, whom we commend to you as a worthy upright Master Mason, who has for some time past executed the office of a S. W. of one of our Lodges to the intire satisfaction of all his Brethren and Fellows. All the Brethren here salute you well beloved with the greeting of St. John, wishing that all Prosperity may attend you and that no Malicious Cowan may ever with profane ears and eyes approach even the lowest step of your Worshipfull Lodge, in order to listen to the Wisdom or pry into the Beauty or Disturb the order and harmony thereof. Your sincer Effectionate Brethren and Humble Servants. From the Grand Lodge held at the Court house in St. Johns the 27th June A. L. 5739. Sign'd by the Command of the Ri't W'pfull the Grand Master. The Lodge being open'd, the Committee appointed Last Lodge Night, to prepare a Remonstrance to lay before the R. W. Master and Brethren of this Society, were Introduced in due form; and Order'd to Present the same; Bro. T. Moffatt, one of the said Committee, was desired to Read it, in the Audience of the R. W. Master & Brethren; and, after due Attention Voted, Nemeni Con: that the Said Remonstrance be Ingross'd in the Book, and to pass into a Law, that, for the Future, the Premium to be paid by Can¬ didates, at their Initiation, to be Ten Pounds. Voted, that the Said Committee be Respectfully Thanked for their Care and Trouble in drawing up Said Remonstrance; Which was perform'd by the R. W. Master & Brethren in due form. Voted, that the Said Committee be continued, and, that our W. Brothers Oxnard and Waghorne be added to them, in order to prepare a Remonstrance (as soon as possible) for the Benefit of the Bank Stock &c. of this Society. The R. W. Master Bro. Hugh McDaniel, Propos'd, and nominated, Mr. Box, (Rope Maker) a Candidate; and to answer 40s. To the R. W. Master and W. Wardens, and the reft of the Members of this Lodge. We whose Names are hereunto annex'd, being a Committee appointed by this Lodge to consider, whether it be Expedient that a greater Pnemium than that now Stipulated by a Quandam Vote of this Society, be required from Candidates before Admission into our Lodge. We, after due Deliberation upon the present Circumstances of this Lodge, and Treasury thereof, do think that it is now, not only Proper, but absolutely Necessary for preserving the Honour and Dignity of Masonry in General, and advancing the Interest of this Lodge in perticular: That the sum paid by Novices before Initiation be Augmented, and that the said Augmentation when coneurr'd to, & agreed on, may presently have the Sanction of a Law hence-forward. We, your Said Committee, are persuaded, that most of the Reasons which prevailed for then establishing the Inaugurating Fee at the present Rate, do not now Subsist; and consequently cannot be employ'd as Arguments against our Judgment, and Opinion, to abrogate, or alter that Decree. As that was a Resolution of this Lodge when in its Infant-state, and scarcely a sufficient Number to form One perfectly, much less to maintain it with spirit; We regard it only as a Result of Necessity, and good Policy, whereby the Society might be Encreased to a proper Number. We, your Committee, are convinced that if the sum paid by Candidates was fixed at Ten Pounds, it would not prevent.any man of merit from making Application; on the Contrary—would Invite, and induce Them, inasmuch as it would discourage those of mean Spirits, and narrow, or Incumbered Fortunes from Solliciting to Enter with Us; both which are Inconveniences which We cannot carefully enough avoid, or provide against; because We apprehend the First to be a Disparagement to, and prostitution of Our Honour; And the Latter are often a heavy Charge, and Burthen, in a General and Particular Respect. We, Your Committee, observe that at some Admissions, there has little or no part of the Money (after defraying incumbent Expences) been applyed towards the encreasing of Our Publick Bank-Stock—nay! that at Times, there has been Occasion Voluntarily to Contribute for discharging the Defficiency, or else Vote the same out of the Treasury; by both which pernicious Practices, that Fund, which should be encouraged, & encreas'd by all honest methods, & means—is Lessen'd, & the Noble Ends, & Purposes, for which it was destin'd, & appropriated—are frustrated, and rendered abortive. Wherefore, We. Your Committee, move for Concurrence with us in Opinion. whereby tilt! General & Pellicular Interest, & Honour of Our Society may lie advanced: and by which Men of Eminence may be encouraged, and those of base Spirits, & embarrass'd Fortunes may be discouraged to associate with Us— And by which our Fund, which ought to be inviolably sacred towards the Relief of Indigent & Distress'd Masons, their Wives, & Children, may be presen-'d and encreas'd. We, Your Committee, think there are Further Menus, whereby all these ndvantngcs might be further enlarged, and secured, which We heartily wish. Wednesday, May the 27th, 1741. The house being all taken up and engaged on some publick affairs, there was no Lodge held. Wednesday, June the 24th, 1741. The Lodge being Open'd, the Brethren proceeded to the Choise of Officers for the six months ensuing; Accordingly, our Right Worshipful M. James Forbes was continued Master of this Lodge; Bro. C. Phillips elected S. W.; Bro Row, J. W.; Bro. H. McDaniel, Treasurer; Bro. Pelham, Secretary, and Bro. C. Talis, Tylar. Voted, that the Treasurer give Bond jus a security to this Society in the Names and to the Master & Wardens of the Lodge for the time being, or to the order of the Society, &c.
Voted, that the Wardens, with Bros. Johonnot, Tuthil, and Pelham, be a Committee to Inspect and Audit the Accounts of our Late Treasurer, Bro. Hallowell, & report the same to the Lodge. This night being the Festival of St. John the Baptist, the same was observ'd in very perticular and eligant manner by all the Brethren present as nlxive Named; when Our R. W. Brother Thomas Oxnard held a Grand l«odge, and was pleas'd to Nominate and Appoint Bro. Steven Deblois S. G. W.; Bro. Robert Jenkins, J. G. W.; Bro. P. Pelham, G. S., and Bro. Stevenson, G. Tylar for the Year Ensuing. I. Wednesday, July 8th, 1741. Lodge Night. But the house being fill'd by the members of the General Court, and no possibility of a proper room to hold a Lodge; Order'd by our Right Worshipfull M. that the Brethren be summon'd to meet him to-morrow at seven o'clock in the Evening, being Thursday. Tylar, 5s. VI. Wednesday, September 23, 1741. The Lodge being open'd, Our Right Worshipfull Master recommended to the Brethren that it was his opinion, some perticular order should be observed in toasting the health of our R. W. Brother, the Honorable Mr. Belcher; and tbat a Committee might be appointed as soon as possablc to wait upon him, with acknowledgements from the Lodge, of his past favors, and to return our thanks, &c.
Voted, that next after the G. M. the Late Governor of this Province is to be toasted in the following manner, viz. : To our R. W. Brother, the Honorable Mr. Belcher, Late Governour of N. E. with 3-3-3=9. Voted, that Our R. W. Bros., T. Oxnard, D. G. M., Bros. Phillips, Row, Price, Hallowell, Forbes, McDaniel and Pelham, be a Committee to form a speech, and wait upon the Hon. Mr. Belcher in behalf of this Society, and to make report of their proceeding the next Lodge. Voted, that the Twenty-four Masons Glasses lately deliver'd to the Society, by our R. W. Bro. Forbes, be paid for out of the Treasury of this Society. "A predilection for 'Miison Glasses' was characteristic of the Craft in the latter half of the eighteenth century. The peculiarity of these glasses lay in having soles of extraordinary thickness—an essential requisite to the then form of Masonic toast-drinking—and not unfrequently they bore emblems of the Craft, along with the name of the Lodge owning them. Long-stalked ones, capable of holding an English quart, and called 'constables' were wont to be used by the Master and Wardens on high festive occasions. It was a custom of Kirk-Sessions in the last century to lend their Communion Cups to neighboring parishes not in possession of such articles, on payment of a stipulated sum for tile use of the poor. The lending of Mason glasses to meet the exigencies of anniversary communications, was a common practice among the Fraternity; and the charges that were made in respect of broken glasses was one of the curiosities of Lodge disbursements a century ago, as it was also in those of Mason Incorporations at and long prior to that period. The following, selected at random, is one of many similar entries in the books of the Mary Chapel Incorporation; Item, paid for sack, bread, and two glasses which came to the Chappell and were breken, at the election of the Deacons at Michalemas, 1685, seven pounds, six shillings. Articles of a more enduring texture than crystal were exposed to the risk of deterioration from the hilarity of the Brethren. October, 1756: The Lodge recommended to the Treasurer to get Br. Hutton's fiddle mended, which was broken by accident in the Lodge, and to take credit in his accompts for what he should pay in getting it rectified. Apropos of fiddles, the following curious entry appears in the minutes of the Lodge of Peebles: 5th May, 1727: This day the Honbl. Company of Masons conveened considering the sev'rl petitions given in by Marion Blackie, relict of John Wood, a Brother of this Lodge, that she had ane fiddle to raffle, and craved that the honbl. company would give in what they thought proper thereto—doe hereby ordain their box-master to give in five shillings ster. to the sd. raffle, and ordains the Deacon to raffle himself, or any other he pleases appoint for five throwes, and what is won to come into the box. In a more disinterested spirit, the Lodge, in 1747, instructed its Master to attend the raffle of two pistols belonging to a member, and to give in a crown out of the box, providing it be laid out for meall to the wife and children. I. Wednesday, October the 14th, 1741. Voted, that a Committee be appointed to wait on his Exellency, Governour Shirly, to Congratulate him on his advancement to the Government of this Province, &c., when it was propos'd and agre'd that the following persons should form said Committee, to act in behalf of this Society, viz. : Our R. W. Bros. Thomas Oxnard, Forbes, Overing, Price, Hallowell, Jenkins, McDaniel, Phillips, Johonnot, and Pelham, and to make report of their Proceedings next Lodge night. Thrice Worthy Brother: — We, being a Committee by the Mother Lodge of N. England held in Boston to wait on You, take this opportunity to Acknowledge the many favours You have always shewed (when in Power) to Masonry in General, but in a More Especial manner to the Brethren of this Lodge, of which we shall ever retain a most grateful Remembrance. Peter Pelham, Secretary, in behalf of the Committee. I shall ever maintain a strict friendship for the whole Fraternity, & always be glad when it may fall in my power to do them any Services. "The Honorable Mr. Belcher," thus highly complimented, was born in Boston in 1681, graduated at Harvard in 1699, visited Europe, and had all the advantages of education and travel which the opulence of a fond father could give. It was at this time that he was presented to the Princess Sophia and her son, afterwards George II., and made a Mason, as he says, about the year 1704—thirteen years before the reorganization of the Institution in England in 1717. He returned to Boston, and engaged in business as a merchant. He was chosen a member of the Council, and in 1729 again visited England, this time as the agent of the Colony. While he was thus engaged, Go ernor Burnet died, and Mr. Belcher succeeded in obtaining the appointment of Governor of Massachusetts and New Hampshire, which he held from 1730 to 1741. His administration was an almost constant struggle with the General Court to enforce the grantiug of a fixed and annual salary as required by the King, and for the settlement of vexed financial questions. The animosities excited by these latter subjects led to his removal, and the appointment of Governor Shirley. Another visit to England enabled him to vindicate his integrity, and to secure the appointment of Governor of New Jersey. There he passed the remainder of his life in comparative repose, and died August 31, 1757, aged 76. The historian informs us that " added to his excellent endowments of mind were a peculiar beauty and gracefulness of person, in which he was equalled by no man in his day; and there was a dignity in his mien and deportment which com¬ manded respect." Henry Price appointed as his first Deputy Grand Master the Governor's son Andrew, who was then Register of Probate for Suffolk Connty, and in the same year (1733) the Governor gave Price a Cornet's commission in his own troop, or body-guard. The relations between them must therefore have been very friendly and intimate. At first thought, the Brethren of the olden time may be considered to have been extravagant in the indulgence of their convivial inclinations, judging from their "Reckonings," which frequently ranged as high as £15. During the time covered by these Records, the currency was continually depreciating, on account of frequent issues of paper money. About the year 1740, we think the proportion between this currency and sterling was as 12 to 1, thus reducing the expense of a meeting to six or seven dollars. The Roman numerals at the head of each Record indicate the number of each meeting in the quarter. From a somewhat hasty examination, we are inclined to the opinion that the volume under consideration consists of copies made from another book, or from memoranda, by Charles Pelham, a son of Peter Pelham. The latter was Secretary from 1739 to 1744. He died in 1751. We learn from Brother N. B. Shurtleff that Peter came over from England about the year 1726, having probably been previously made a Mason. He brought with him his son Charles, bom in 1722. At the age of 17 he probably commenced copying his father's records into this book, and continued the work until he came of age, when he was made a Mason (in 1744), and at the very next meeting his name appears as Secretary, and so continues until the end of the book. If our supposition in this regard be correct, it does not, in our judg¬ ment, in the slightest degree invalidate the authenticity or credibility of these Records. In a future number we hope to be able to give further extracts from and comments on these very curious and interesting minutes. John H. Hammatt became a member of St. John's Lodge in Boston in 1800, and so continued until his death in 1864. He served the Lodge, first as Steward, and afterwards, as Secretary, Junior Warden, Senior Warden, and Master; closing with 1811. In commemoration of his services, the Lodge presented him with a silver Urn, inscribed as follows: "St. John's Lodge, Boston, To J. B. Hammatt, P. M., A. L. I. C. C. DCCCXI." The base of the Urn is about three inches and one-fourth, square. The bowl is four inches wide, and nearly as deep, with circular form, except that it is fluted vertically, in spaces of seven-eighths of an,inch wide at the upper part, with sixteen curves in all — the cover is surmounted by a conical bulb representing flame, and when resting on the body of the Urn, the whole stands nine inches in height. This interesting and valuable relic passed to a daughter of the donee, and from her to a nephew, grandson of his, the present District Deputy Grand Master of the First Masonic District, Wor. Bro. Albert L. Richardson, by whom it is highly prized, as a Masonic and family heirloom of much interest, beauty and value. Jan. 27, 1775 — Feb. 17, 1787. Right Worshipful Charles W. Moore in May, 1857, in a memorial to Past Grand Master John Cutler, gave out an impression that the activities of our grand lodge in the days when it was known as "St. John's Grand Lodge", were suspended from January 27, 1775, until February 17, 1787. He probably made this assumption because in the original record books of our grand lodge there are to be found no records of St. John's Lodge between these dates. From time to time I have discovered evidence of facts concerning the activities of St. John's Grand Lodge during this period and, lest they be lost, it seems proper to assemble them for record in our proceedings. In	that connection, it is interesting also to note the reason for the hiatus in the records. St. John's Grand Lodge was the elder of the two grand lodges in Massachusetts, which united in 1792. It had been founded by Henry Price in 1733 by virtue of his commission from the Grand Master of Masons in England. Between the dates in question there was another grand lodge functioning in Massachusetts known as the Massachusetts Grand Lodge, which drew its authority from Scotland. The records of the Massachusetts Grand Lodge are continous from its organization, December 27, 1769, until its union with St. John's Grand Lodge on March 5, 1792, the only hiatus being between March 3, 1775, and December 27, 1776. During that short interval many of the prominent brethren of the Massachusetts Grand Lodge were under arms. There was at least one assemblage for the purpose of conducting the obsequies of Grand Master Warren on the eighth of April, 1776. It would be passing strange if Massachusetts Grand Lodge continued, but St. John's Grand Lodge failed to function during the period under investigation. The reason for the hiatus in records of St. John's Grand Lodge beginning after January 27, 1775 is now clear. The grand secretary at the time was Thomas Brown. He was also secretary of the Second Lodge in Boston. His last record of the Second Lodge is dated February 8, 1775. Brother Thomas Brown remained shut up in Boston during the British occupation. 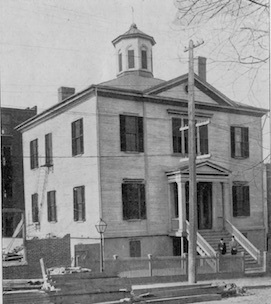 After the evacuation in 1776, Brother Brown, who was a Tory, sought refuge in Halifax, Nova Scotia, taking with him record hooks and other Masonic poperty then in his possession. 1914 Mass. 274. - John Rowe was grand master. In the troublous days of the Revolution, it is clear that he had no way in which he could obtain the return of the records. He may, indeed, have been without information as to the whereabouts of Brother Brown. He evidently obtained this information by 1784, for August 20th of that year Grand Master Howe wrote Brother Brown, asking for their return. 1 Mass. 410. - On October 18, 1784, Brother Brown replied, acknowledging his possession not only of the records, but also of the seal of the grand lodge and other of its property and offering their return, impressing his surprise that no earlier application had been made to him respecting them, saying, "I view them as consequential matters." 1 Mass. 416. — Brother Brown also asked that he be paid a balance due to him, but for some reason, the grand lodge made no appropriation fur this purpose until August 4, 1787. 1 Mass. 200. — Prompt return was Made thereafter, for immediately the grand lodge record is continued in the old book without explanation concerning the twelve omitted years. The first minutes following those kept by Brother Brown record a grand lodge meeting on February 17, 1787, to make arrangements to attend the funeral of Grand Master Rowe. This record bears upon its face evidence of continuity of the body, and that the meeting was not a new assemblage after years of suspension. On January 27, 1775, Richard Gridley was deputy grand master, and we find him still occupying that position on February 17, 1787. This is true also of John Cutler's occupancy of the office of Senior Grand Warden. In the 1787 record, however, we find a new grand secretary and also a new grand treasurer, who certainly had funds in his hands because an appropriation therefrom was made. They must have been chosen during the interim. In 1787, St. John's Lodge was still functioning because the names of its master and wardens are given. The record speaks of "the several Lodges in this Town and Charlestown." Evidently, therefore, several of them were functioning. Indeed the whole record speaks of a live organization and not of an unusual situation or revival. The record of August 4, 1787 appropriates money to pay the tyler for his services. He must have rendered them at grand lodge communications. It provides for a circular letter to "all lodges under this jurisdiction." There must have been such lodges. Thus, the original record book itself has inherent evidence of continuity. St. John's Lodge, of Portsmouth, was one of the particular lodges composing St. John's Grand Lodge. It has records covering the period in question. (Some other demonstrable events in the history of St. John's Grand Lodge, during that period, are evidenced by the records of many meetings of the lodge during the period mentioned, as well as a mass of other material, all of which substantiates the claim of Most Worshipful Grand Master Johnson.) — Ed. We have recently seen a program of the One Hundred and Fiftieth Anniversary of the institution of St. John's Lodge, which was observed in Masonic Temple, Boston, October 1st, 1883. It calls to mind many prominent brethren who were then active, but who have since gone to their long home. The Master at that time was Samuel W. Clifford, Jr., a lawyer; the treasurer was Edward A. White, an alderman, and afterwards fire commissioner, a man well known in political and business circles; James W. Allen the long time efficient secretary; John H. North, senior deacon, afterwards Master of the Lodge. Brother North was prominent in the wholesale hat business. He was bright, active and faithful to his conception of duty. Benjamin F. Nourse, the faithful and courteous tyler, whom everyone respected. Wyzeman Marshall, theatrical manager; James A. Fox, Mayor of Cambridge; Curtis Guild, publisher; Stillman B. Allen, prominent lawyer; William A. Thomes, afterwards Master of the Lodge, a well-known writer and publisher, and others. There are also the names of some who are still active in the service of Freemasonry in the Lodge, also in the higher degrees of the order. High Lights and Side Lights of St. John's Lodge of Boston, A. F. & A. M.
By Worshipful J. Chester Reed. We are assembled here in a spirit of reverence for the past, to pay such honor as we may to that which is our common Masonic inheritance. We mark this day, and this year, as bright symbols in the ceaseless march of time and events. Yet we know there is no corner to be turned here; we know that there is no distinguishable division between the present 3000th Communication and the years which preceded it or those yet to come. It is a notable fact in our Masonic history that though we have had our many dramatic crises, directed by vision and solved with fortitude and wisdom, our course has been steady and onward. In other lands history has shown convulsions by which the earlier course has been diverted, and the trend of civilization utterly altered. We have seen ancient governments crash in ruins and sink into oblivion. The distinctive feature of our Masonic history is that from its very beginning, it has gone steadily onward. The incidents of tragedy, suffering and mighty issues put to the test, have smitten us in our 210 years of existence, but stronger than any of these things have been the fundamentals of the Fatherhood of God and the brotherhood of man upon which our Masonry is builded. St. John's Lodge owes a debt of gratitude to two members— Past Secretary George P. Anderson, for working out and computing the number of meetings held, and our beloved Treasurer, Right Worshipful Starr A. Burdick, for being the first as Master to recognize the importance of making use of this data. I wish to pause at this point to direct attention to the two bunches of Grapes displayed in the East. They are the two bunches mentioned in our souvenir program and are on display only on occasions similar to this celebration. They are among our most precious treasures. It is no surprise to learn that the towns in America where early Masonic influences are noted are seaports. Philadelphia, New York, Newport, R. I., Portsmouth, N. H., Savannah, Ga., Charleston, S. C, and other coast towns, each has its story of early Masonic meetings, all held according to old customs, and finally years afterwards, becoming duly constituted. Many ship captains belonged to the craft and assisted in keeping alive its importance. Merchants from London also contributed to the extension of the movement to have Lodges in this country. Boston had its full share of visiting sea captains and business men from England and from the first their names are found as visitors on our rolls. Our distinction, above all other claimants of Masonic prestige, rests that we were the first of these groups to become a regular and duly constituted Lodge in America. This fact is a matter of record and is beyond successful dispute. Nine years ago the Most Worshipful Grand Lodge of Masons in Massachusetts and St. John's Lodge observed a 200th Anniversary. At that time the history of this particular Lodge and of Masonry in North America was exhaustively reviewed and the proceedings are preserved in printed volumes for future generations. To recite a history of St. John's Lodge again would be only to reiterate the facts set forth at that time, which are well known to the majority of our guests. It is proposed, therefore, to touch only briefly on historical data as definitely pertaining to St. John's Lodge and then approach the subject from a somewhat different angle. Our Lodge was organized as the First Lodge and it retained that name until 1783, when the Second Lodge was united with it and the name changed to St. John's Lodge. We are now in our 210th year and the presiding Master is the 110th to serve the Lodge in that position. Many of our members have attained Masonic distinction, the Lodge having provided eight Grand Masters, fifteen Deputy Grand Masters, sixteen Senior Grand Wardens, twenty-two Junior Grand Wardens, six Grand Treasurers, two Grand Secretaries and twelve District Deputy Grand Masters. The Lodge reached its peak in sustained membership in the period between 1925 and 1930, when it had slightly more than 1000 members. The present membership is 701. The recession in membership is in part due to the long continued depression, but during the current lodge year an upward swing has been evident and seventeen candidates have received their degrees. Henry Price, Grand Master of Masons in New England, and afterwards for North America, guiding spirit in the formation of our Lodge and of the Grand Lodge in 1733 and thereafter wise and helpful in counsel in Masonic affairs for forty-seven years. Jeremy Gridley, Master of our Lodge in 1754 and Grand Master of Massachusetts from 1755 to 1767; a distinguished Jurist and at the time of his death in 1767, Attorney General of the Province. Peter Pelham, Secretary of our Lodge from 1739 to 1744, Master of the Third Lodge in Boston in 1750 and the first eminent portrait painter and engraver in New England, whose skill saved for future generations the likenesses of his prominent contemporaries. James Otis, the brilliant orator and patriot, whose argument in court in 1761 against the validity of Writs of Assistance was a prophetic forerunner of the American Revolution. Nathaniel Barber, militant member of the Committee of Correspondence in Boston, a member of the Boston Tea Party and Naval Officer of the Port of Boston in 1784. Robert Newman, who on the night of April 18, 1775, hung two lanterns in the steeple of the North Church as a signal to Paul Revere to start his celebrated ride in Middlesex County, warning the country-side that the British were coming. John Rowe, Master of our Lodge in 1749, and Grand Master from 1768 until his death in 1787, whose resources, counsel and fidelity kept alive the craft through the American Revolution. Samuel Tucker, a naval hero who, as Commodore during the Revolution, commanded several ships and captured sixty-two vessels as prizes, six hundred cannon and three thousand prisoners of war. Josiah Quincy, member of Congress from 1805 to 1813, Mayor of Boston from 1823 to 1829, who during his term as Mayor built the Quincy market, and President of Harvard College from 1829 to 1845. James Miller, Brigadier General in the War of 1812, who received a gold medal from Congress in 1814 for distinguished service at Niagara, Governor of the Territory of Arkansas from 1819 to 1825 and Collector of the Port of Salem from 1825 to 1849. James A. Fox, a Captain in the Civil War, Worshipful Master of our Lodge in 1863 and 1864, Captain of the Ancient and Honorable Artillery Company in 1864 and 1865 and Mayor of Cambridge from 1881 to 1884. Harvey N. Shepard, Master of our Lodge in 1881 and 1882, a prominent member of the Suffolk bar and President of the Boston Common Council in 1880. Upon the death of Richard Briggs, Grand Master, he, as Deputy Grand Master, succeeded him in July 1893 and served the remainder of that year. Cornelius N. Bliss', Secretary of the Interior in 1897 in the Cabinet of President William McKinley, and one of the most prominent merchants in the country. 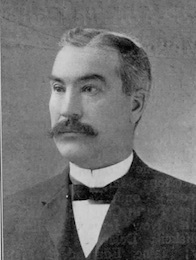 David T. Montague, an Honorary thirty-third degree Mason, Past Thrice Potent Master of Lafayette Lodge of Perfection, Master of our Lodge in 1906 and 1907, former Register of Probate for Suffolk County, State Senator, member of the Common Council of Boston and Chairman of the Licensing Board of Boston. 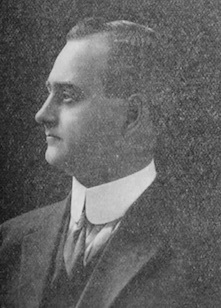 Channing H. Cox, who is an Honorary thirty-third degree Mason, after being a Representative, Speaker of the House of Representatives, Lieutenant Governor and Governor from 1921 to 1925, closed a noteworthy period of continued public service on Beacon Hill lasting fourteen years; now President of the First National Bank of Boston. We now propose to approach the history on a contemporary basis. There is no need to call to your attention world conditions as they exist today. We are in the midst of a world conflict, and in taking you in retrospect to the first meeting, the 1000th meeting and the 2000th meeting of St. John's Lodge, and in comparing conditions at those periods with present conditions, it should be noted that in each of the years in which these meetings were held, war has been in evidence, either in the old world or in this world. Our first meeting was in July, 1733. Henry Price was Grand Master of Masons in Massachusetts. Henry Hope was Master of the First Lodge, now known as St. John's Lodge. For many years the monthly notices of St. John's Lodge have printed on the first page the notation that this Lodge was the first duly constituted Lodge of Freemasons in America, with Henry Hope as Worshipful Master and James Gordon and Frederick Hamilton as Wardens. Almost nothing has ever been known about these three men who sat in the East, West and South on July 30, 1733, when our formal history actually began. Through the research of a member of this Lodge, I am now able to tell you briefly who these three Masons were. Henry Hope, who came to Boston from England in 1729, established himself as a merchant upon the north side of Queen Street, now known as Court Street. His shop was almost opposite the present-day Court Street entrance to the Annex of the City Hall of Boston. Hope had been born in Rotterdam, Holland, in 1697, and therefore was thirty-six years old when he was elected Master of our Lodge. His father, Adrian Hope, was the head of Hope & Company, a banking house in Rotterdam which was at that time as important in Europe as is the firm of J. P. Morgan & Company in this country today. He had sent his son to London, where he became identified with the banking house of Gurnell, Hoare & Company, an important establishment. Hope became a member of the Masonic Lodge in London which met at a tavern called "The Ship Behind the Royal Exchange." It was Number 18 on the list. At that period, English Lodges signified their identity both to their own members and to other members of the craft, by being known as meeting at some particular tavern. Thus Hope belonged to the Ship Lodge, the one that met behind the Royal Exchange, one of the principal business buildings in London. His Lodge in 1723, according to records preserved, had thirty-nine members and Henry Hope and his younger brother, John Hope, were on the rolls. The name of Henry appears sixth on the list while John's name is next to the last. Evidently Henry was a person of importance and who can say that he had not been a Warden or even Master of that Lodge? Probably his Masonic standing in England was responsible for his election, by a unanimous vote, as Master of our Lodge. There was a definite purpose in his election, and it probably was to start off the Lodge with a Master who was known to have been identified with an English Lodge of unquestioned good standing. There was a somewhat distinguished membership in the Ship Lodge — for instance, its rolls disclosed one Knight, fourteen Esquires and two Captains. Hope evidently had been in good Masonic company before arriving in America. Business reverses in Boston made it necessary in 1738 for Hope to return to Rotterdam to get help from his father's banking house. This apparently had been arranged and he and his wife, who was Sarah Willard and whom he had married in America, were returning when they were lost at sea, as their ship neared Martha's Vineyard. The exact date of the tragedy is not known, but it probably was in 1739. As to the two first Wardens of our Lodge, James Gordon was a business man in the jewelry trade and was a pillar of King's Chapel, where he was long a Vestryman. He died in 1770. In view of the well founded belief that about 1720 a Masonic Lodge met in King's Chapel, it is at least a permissible conjecture that Gordon belonged to that early Lodge. The fact that Brother Gordon was elected Senior Warden on this important occasion in 1733 and became in the following year our second Master, possibly is of deep significance. He must have had an important place in the local Masonic Lodge which undoubtedly had been organized according to old customs. Certainly Brother Gordon loomed large to have been placed in the second place of honor. The other Warden, Frederick Hamilton, our third Master, had a grocery store on Union Street, not far from what is now Faneuil Hall, and according to early Grand Lodge records, he was made a Mason in this country. He was not as prominent as Brother Gordon but was a dependable figure in those early days. In 1733, the War of the Polish Succession was being fought. James Edward Oglethorpe, a prominent Mason, and his group of colonists founded Savannah, Georgia. The first edition of Poor Richard's Almanac, published by Brother Benjamin Franklin, had just been issued in Philadelphia. The first German Masonic Lodge was founded at Hamburg (closed in 1933). While Masonry regards no man for his worldly wealth or outward appearance, it is reasonable to assume that the members of Masonry, as has been prevalent generally throughout the ages, were gentlemen of distinction in the Eighteenth Century. It may therefore be of interest to note the wearing apparel of our Brethren at the time of our first meeting. Coats were worn with very large cuffs reaching up to the elbow and with big skirts running to the knees, lined and stiffened with buckram, having three or four large plaits in the skirt, wadded almost like a coverlet to keep them smooth. Breeches were close fitted with silver, stone or paste buckles and shoes bore silver buckles of various sizes and patterns, the stockings being worsted or silk. Heavy cloaks were worn by the men and were often trimmed with fur. Lace neck-cloths, square-toed, short-quartered shoes, small three-cornered hats and waistcoats of rich flowered silk of a large pattern on a white background went to make up the rest of the costume. Periwigs of light gray, human hair, costing four guineas each were worn. To use the snuff box gracefully was an accomplishment considered necessary to the young man of fashion in the Eighteenth Century. Multiplicity of buttons on each side of the coat was an outstanding feature. Velvet garters were worn over the stockings below the knees, being fastened on one side by small buckles. One gentleman ordered a "jockey coat" from Boston, of fine cloth, with waistcoat and breeches to match, to be trimmed plain, only with a button of the same sort as that of the waistcoat but proportionately bigger. In addition to this, he desired a nightgown (lounging coat) of a deep crimson Genoa damask, lined with the same color. The 1000th meeting of St. John's Lodge was held in 1803, seventy years after our first meeting. Isaiah Thomas was Grand Master of Masons in Massachusetts. Shubael Bell was Master of St. John's Lodge. He was a prominent man in his day and was Master of our Lodge for five years. There were seventy-nine Lodges in the Massachusetts Jurisdiction and at that time the membership in St. John's Lodge is estimated at 250. During the Lodge year, the Treaty transferring the extensive Louisiana Purchase area to the United States was signed with France. President Thomas Jefferson issued instructions to Meriwether Lewis and William Clark for their famous expedition to the far West, and the descent of the Ohio River from Pittsburgh by that Expedition began on August 31st. The 8th Congress First Session convened by Proclamation. Robert Emmett was holding an insurrection in Ireland. The Code Napoleon, a digest of French National Law, was completed and promulgated. Napoleon publicly insulted Lord Whitworth, English Ambassador, on May 13th, and on May 16th, war was declared against England. Robert Fulton constructed a small steam-boat and his experiments with it on the Seine River were attended with great success. Later, in 1807, he made his first trip on the Hudson. Horse racing in Massachusetts was prohibited by law. New York City had its first labor strike, a number of sailors demanding a raise from $10. to $14. a month, and the National Debt was $86,427,120. Regarding the wearing apparel of our Brethren at the time of our 1000th meeting, the coat, which somewhat resembled our modern cutaway, had shoulders very much padded to give breadth and the coat buttoned at the waist to make the wearer ' look slender and was cut short enough to show the waistcoat, which was usually of a contrasting color. Pantaloons were a new fashion from Paris. Hessian boots were worn and a high hat, which in the early years of the century was usually very large. Collars were extravagantly high and slippers were preferred by many to boots. In 1803, coats were made somewhat broader in the waist and the collars were less high. Knee breeches and boots with high tops were still in favor. Late in 1803 long coats, not cutaway, came into fashion, also pantaloons reaching to the ankle. In 1869, sixty-six years after our 1000th and 136 years after our first meeting, the Lodge held its 2000th Communication. William Sewall Gardner was Grand Master of Masons in Massachusetts. Lyman B. Meston was Master of St. John's Lodge. There were 174 Lodges in Massachusetts and the membership in the Massachusetts Jurisdiction at that time was 19,581 and in St. John's Lodge, it was estimated at 360. Our own Civil War had recently ended and from June 15 to June 20 the National Peace Jubilee was held in Boston, with a chorus of 10,000 singers and an orchestra of over 1000 pieces, conducted by the famous bandmaster, Patrick S. Gilmore. On March 4th, President Ulysses S. Grant was inaugurated and the 41st Congress opened. On March 11th, George S. Boutwell of Massachusetts was appointed Secretary of the Treasury. On May 10th, the Union Pacific and Central Pacific Railroads joined at Promontory Point near Ogden, Utah, uniting the Atlantic and Pacific Coasts by railroad. This event, the first trans-continental line, was celebrated in many cities — in Chicago with a procession seven miles long and in New York with a salute of 100 guns. In connection with the joining of these railroads, your historian noted in the newspapers that on September 8th at Promontory, Utah, Governor Herbert B. Maw of that State, with the aid of a spike bar, pulled the last spike linking the Nation's first trans-continental railroad. The spike was an ordinary one, gilded to serve as a stand-in for the original golden spike (now in a San Francisco Bank vault) that linked the lines of the Central Pacific and Union Pacific on May 10, 1869. It is, indeed, coincidental that these rails, laid in the year of our 2000th meeting, should be torn up in the year of our 3000th meeting to provide steel for the war effort. On June 1st Thomas A. Edison received his first patent for an electric apparatus for recording votes. On July 23d, the cable connecting the United States with France was landed at Duxbury, Mass. September 24th was "Black Friday" on Wall Street, being a panic due to an attempt by Jay Gould and James Fisk to corner the gold of the country. On October 19th, Charles William Eliot was inaugurated President of Harvard College. The Trustees of Boston University were incorporated, and the State Board of Health of Massachusetts was established. On December 24th, Edwin M. Stanton, Lincoln's Secretary of War, died, four days after his appointment to the Supreme Court. The word "German" was erased from the title "German Reform Church." Thomas Bailey Aldrich published The Story of a Bad Boy. Louisa M. Alcott published An Old Fashioned Girl. Mark Twain published Innocents Abroad. Congress reduced the tax on distilled liquors from $1.97 to $.54 per proof gallon. William Claflin was inaugurated Governor of Massachusetts. Dorchester was annexed to Boston, and the first inter-collegiate football game was played between Princeton and Rutgers, each team having twenty-five men. The Suez Canal, so much in present-day news as a prize of war sought by the Axis powers, had just been opened. The fashions of the Sixties are familiar to everyone through the medium of photography. Long black broadcloth frock coats, rather loose pantaloons and careless neckties prevailed. The colors were universally sober. The hair was worn rather short than long and beards, whiskers and mustaches were popular. The war between the States being just ended, military and naval uniforms were still much in evidence. Ugly as men's clothes of this period were, a great deal of attention was bestowed on them. Looking backward at the figures of the first of the century,, j we must at least acknowledge that there was something wholesome and virile about the fashions for men in the Sixties. The small waists, the tight sleeves and close fitting pantaloons of the former day were effeminate by comparison. Let us consider for just a moment the so-termed necessaries of life of today which were unknown to our Brethren in 1869. They knew something, but very little, about a power elevator, a lawn mower, safety matches, sewing machines, spectroscopes, bessemer steel process, typewriters, machine-made watches and air brakes. Our Brethren of the 1000th meeting in 1803 had never heard of the telegraph, a revolver, a phosphorous match, vulcanized rubber, ether as an anesthetic, the rotary printing press, a safety pin or a paper collar. Our Brethren of the first, the 1000th and the 2000th meeting dates managed to exist without the knowledge and advantages or disadvantages, as the case may be, of the airplane, aluminum, the automobile gas engine, a modern type of bicycle, the cash register, the caterpillar tractor, cellophane, the depth bomb, the Diesel engine, the electric storage battery, the Edison incandescent lamp, the electric motor, the film kodak, the microphone, the moving picture machine, the fountain pen, the phonograph, the radio, the submarine, the military tank, the telephone, the trolley car, the vacuum bottle, the modern adding machine, the x-ray, loud speakers, electric refrigerators, push button elevators, rayon, alternate or direct currents, cream separators or liquid air, to say nothing of vitamins, novocain, sulphanilamide, aspirin or blood pressure, high or low. The foregoing brief resume is offered in the sincere hope that notwithstanding our departure from normal historical Masonic data, we have afforded a certain modicum of pleasure to our hearers. In presenting what we have termed "High Lights and Side Lights" concerning the history of our first, 1000th and 2000th meetings, we have not by any means overlooked the periods between those dates. For example, in King George's War in 1745, Right Worshipful Thomas Kilby, Past Senior Grand Warden, our Master in 1745, participated in the conquest of Louisburg. During the French and Indian War, 1754— 1763, our Lodge had as a member Right Worshipful Richard Gridley, Past Deputy Grand Master and Past Junior Grand Warden. In the Revolution, this same Brother Gridley, who was Master in 1757, as Major General, built the fortifications at Bunker Hill in 1775, and at Dorchester Heights in 1776. This latter feat made it necessary for the British to evacuate Boston. He was perhaps the most outstanding Mason in the 210 years of our Lodge's existence. But we cannot buy with gold the old associations." R. W. James A. Dickson, Master. W. Shubael Bell, S. W.
W. John Baker, J. W.
Ferdinand E. White, S. D.
Samuel R. Trevett, J. D.
J. Vincent Brown, J. W.
Masonic Relics.— Wyzeman Marshall, W. M. of St. John's Lodge, was the recipient last week of a gift, or rather of a restoration of former gifts, which will be highly prized. The late Dr. John Dixwell was formerly Master of St. John's Lodge, and within a few weeks, members of his family found in a private drawer in an old cabinet, which has been seldom used, four heavy silver ladles, three of which bear inscriptions showing by whom they were presented to the Lodge. Dr. Dixwell was probably entrusted with their care, and having put them away for safe keeping in a secret drawer, they escaped notice at the time of his death. —Ev. Gaz. St. John's Lodge, of this city — the Mother Lodge of America — numbering nearly two hundred and twenty-seven years since its first organization — was recently the scene of one of the most successful and interesting purely Masonic reunions it has been our good fortune to attend for many years past. The occasion was somewhat unique in its character. 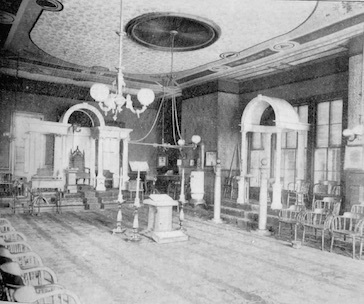 The Brethren of Rising Sun Lodge, at Nashua, N. H., had sometime previously signified to Brother Wyzeman Marshall, the accomplished and gentlemanly W. Master of St. John's Lodge, that it would afford them great satisfaction to witness the ceremonies of the third degree, as exemplified by his Lodge, at such time as might suit his convenience. The evening of the 8th February last was accordingly fixed upon for the purpose. The Lodge was opened at 7 o'clock, and the large hall was soon after filled by the members and visitors, including, among the latter, about sixty Brethren from Nashua, with the R. W. Brother Hughes, Deputy Grand Master of New Hampshire, at their head. The Grand Master, Deputy Grand Master, and several of the other officers of the Grand Lodge of this State, together with a large number of the heads of the Lodges and other Masonic bodies in the city, were also present, — numbering altogether between three and four hundred Brethren. This is not the place to speak of the ceremonies in other than general terms. They were given in a manner worthy of the reputation of this ancient Lodge and of its skillful officers. It would be difficult to say wherein the work as exhibited could have been improved. At the conclusion of the ceremonies, the members of the Lodge, with their invited guests and visitors, repaired in procession to the banqueting-hall, were a collation was served up in all the variety, elegance and sumptuousness for which that prince of caterers, J. B. Smith, is so eminently and justly distinguished. The Brethren having satisfied their physical wants, the speaking was commenced by the W. Master of the Lodge, who gave as a sentiment, the M. W. Grand Lodge of the Commonwealth, which called up Dr. Lewis, the Grand Master, who spoke with his accustomed readiness and pertinence. He was followed by the R. W. Brother Hughes of Nashua, D. G. Master of the Grand Lodge of New Hampshire, who made a very excellent and effective speech. Speeches were also made by the Master of Rising Sun Lodge (Nashua), Dr. Smith, D. G. Master, and others — the speaking continuing until a late hour. The occasion was one long to be remembered; and to it and its pleasant incidents, the minds of all who had the good fortune to be present, will often revert with pleasurable recollections. St. John's Lodge, Boston, was honored by a visit from M. W. Grand Master Welch, accompanied by M. W. Edward P. Burnham, Grand Master of Maine, and Members of the Worshipful Masters' Association, on the evening of May 3d. About one hundred and fifty Brethren were present, who witnessed the Work on the Third Degree with much interest. Speeches were made by Grand Masters Welch and Burnham, and others. "The Old Lodge" was complimented, and encouraged, Worshipful Master F. T. Comee, and other officers were commended, and all present enjoyed the entire ceremonies. A collation followed. The 145th Annual Communication of St. John's Lodge (the parent Lodge of Freemasonry in America), was held at the Masonic Temple on Monday evening December 2d, when the following officers were duly installed for the ensuing year, by R. W. Bro Wyzeman Marshall: W. M. Martin A. Munroe ; S. W. Samuel W. Clifford, Jr.; J. W., Harvey N. Shepard; Treasurer, Edward A. White; Secretary, James W. Allen; Chaplain, Rev. S. H. Winkley; Marshal, Samuel A. Otis; S. D. Louis W. Young; J. D., H. Alric Davis; S. S. J. Arthur Jacobs; J. S. H. W. Gleason; I. S. George D. Upham; Tyler, Benjamin F. Nourse; and Organist, Edw. A. Talbot. Bro. Frederick T. Comee, the retiring Master, was the recipient of an elegant Past Master's jewel. Many valuable relics of Masonry of "ye olden times" were brought forward on this occasion, which were used by former Brethren. The Annual Meeting of St. John's Lodge, of 1733, was held on December 6th, when the election and installation of officers took place. The elected officers are as follows: Harvey N. Shepard, W. M.; H. Alric Davis, S. W.; J. Arthur Jacobs, J. W.; Edward A. White, Treas. ; James W. Allen, Secretary. At the last regular meeting the Treasurer, Brother White, was made the recipient of an elegant treasurer's jewel, as a token of the satisfaction the brethren feel because of the fidelity he has displayed in that office. Since 1866, he has guarded the funds of the Lodge, and the wish of the members is that he mav long continue in their service. St. John's Lodge A. F. & A. M., the oldest lodge of Freemasons in America, enjoyed a "Ladies' Night", Monday evening, January 1, on which occasion the officers of the lodge were installed with public ceremony in the presence of a large company of brethren and ladies, nearly six hundred in number. Most Worshipful John Albert Blake, Grand Master; Rt. Wor. Everett C. Benton, Deputy Grand Master; Rt. Wor. Samuel Hauser, District Deputy Grand Master for the past two years, the Wor. Masters of the lodges meeting in the Temple, and other distinguished guests were present. The installation was conducted by Rt. Wor. Harvey N. Shepard. Past Deputy Grand Master and Past Master of St. John's lodge, assisted by Wor. William B. Heath, the retiring Worshipful Master. Sentinel, Otto C. Scales; Organist, Charles S. Johnson; Tyler, Edward F. Jacobs. The installation was preceded by a banquet and followed by dancing. The occasion was highly enjoyed by all who were present. There was a brilliant gathering of members of the Masonic fraternity and their ladies at Masonic Temple Monday evening, January 1st, the occasion being the annual night of ladies' night of St.John's Lodge, A. F. & A. M. An informal reception was held in Corinthian Hall at 6 o'clock, the guests being received by Worshipful Master David T. Montague and officers of St. John's Lodge. The guests included Grand Master J. Albert Blake, Deputy Grand Master Arthur T. Way, Senior Grand Warden Edward G. Graves; Past Deputy Grand Master Everett C. Benton, Past Senior Grand Warden James M. Gleason; Past Senior Grand Warden Frank L. Mead, District Deputy Grand Master George J. Tufts of the 2nd Masonic District, District Deputy Grand Master Albert B. Root of the 1st District, Grand Marshal Melvin M. Johnson, Grand Tyler George W. Chester, Worshipful Masters Edwin N. West of Massachusetts Lodge, Leon M. Abbott of Columbian Lodge. Charles W. Kidder of Mt. Lebanon Lodge, Julius A. Zinn of Germania Lodge, Harry H. Hartung of Aberdour Lodge, Percy E/ Wallbridge of Winslow Lewis Lodge and Charles B. Houghton of Joseph Webb Lodge, Past Master Oliver A. Roberts and Senior Warden Roscoe E. Learned of Eleusis Lodge, Eminent Commander Isaac Chase of De Molay Commandery, E. H. P. Edward O. Hatch of St. Andrew's Chapter, E. H. P. Oscar Storer of St. Paul's Chapter, E. H. P. Albert A. Sutherland of Somerville Chapter and Master Charles A. Estey of Boston-Lafayette Lodge of Perfection. The guests having been presented and cordially welcomed by Worshipful Master Montague, were escorted to the banquet hall, where an elaborate banquet was provided. At 8 o'clock an entertainment was provided in Ionic Hall, the programme including selections by the Tufts College Glee and Mandolin Clubs, and moving pictures by Howard. Later, there was dancing in Gothic Hall. The Temple was thrown open for the occasion, the various halls aud apartments being brilliantly illuminated. The affair was one of the most successful held at the temple this season, and added another to the long line of enjoyable events given under the auspices of St. John's Lodge, which is the oldest regularly constituted lodge of Free Masons on this continent, and noted for its hospitality. About 500 members and guests were present Most illustrious names appear on the membership records of the lodge: Henry Price, Grand Master of Masons in North America; Henry Hope, first Master of St. John's Lodge, and the representative in North America of the celebrated firm of Baring Brothers, bankers; Robert Tomlinson, Grand Master; Thomas Oxnard, Grand Master; John Rowe, Grand Master, and colonel of the First Boston Regiment in the Continetal Army; Maj. Gen. Richard Gridley, chief engineer of the Continental Army who constructed the fortifications at Bunker Hill, Louisburg, Ouebec and other places; James Otis, revolutionary patriot aud orator; Robert Newman, who hung the lanterns in the belfry of the Old Christ Church for Paul Revere; Commodore Samuel Tucker, U. S. N., who captured six two vessels, 600 cannon and 3000 prisoners, and to whom Congress voted its thanks for gallantry and great service; Dr. Winslow Lewis, Grand Master of Masons in Massachusetts, and in honor of whom the present Winslow Lewis Lodge in Boston is named, Edmund Ouincy, Sr., Edmund Quincy aud Josiah Quincy, mayor of Boston and president of Harvard College, were all members of the lodge. The last regular meeting of St. John's Lodge A. F. & A. M.. Boston, which was held in Masonic Temple, Monday, May 6th, was an occasion of rare interest. In addition to a large attendance of the members of the lodge there was a very large number of guests, which included Most Worshipful John Albert Blake, Grand Master of the Grand Lodge of Massachusetts, and more than one-half of the District Deputy Grand Masters of the State. Beside these distinguished brethren there were many Past Masters of lodges and other brethren who had come to enjoy the exercises of the meeting. The large attendance of brethren was in compliance with the desire of Worshipful Brother David T. Montague, Master of the lodge, to make the meeting an expression of the love and deep respect which the members of St. John's Lodge have for Right Worshipful Albert B. Root, a Past Master of the lodge, who is now serving on his second year as District Deputy Grand Master of the First Masonic District of Massachusetts. The meeting was called at an early hour in the afternoon for the regular lodge business. The guests were invited to be present at the banquet at 6.15 and the great banquet hall was well filled at that time, between four and five hundred brethren being seated at the tables. The formal reception of the Grand Master and his suite was at 7.45. The following committee of Past Masters of St. John's Lodge introduced the visitors: Worshipful Brothers Frederick T, Comee, Harvey N. Shepard, J. Arthur Jacobs, John H. North. Frederic W. Bliss, Edmund H. Talbot. Albert B. Root and William S. Heath. The speeches made by Worshipful Brother Comee in introducing the Grand Master and by Worshipful Brother Montague in receiving him were of more than common interest. Among other things, Brother Comee alluded to the intimate and pleasant relations which had long existed between them in consequence of association in Masonic work. Worshipful Brother Montague's reception of the Grand Master was most cordial, His speech was original in thought, scholarly ui conception and dignified in delivery. The Grand Master was deeply impressed by his reception and responded with appropriate words. The Grand Master introduced the following suite: Right Worshipful Everett C. Benton, Past Deputy Grand Master; Right Worshipful Brothers James M. Gleason and Frank W. Mead, Past Senior Grand Wardens; and the following Distrid Deputy Grand Masters: Right Worshipful Brothers Albert B. Root, George J. Tufts, William H. L. Odell, George P. Whitmore, Frederic E. Wood, Walter F. Medding, George H. Perkins, Charles S. Proctor, John E. Barber, James Downs, Oscar A. Marden, E. Alden Dyer, M. D., Albert F. Dow and Henry P. Brown. Others of the suite were: Worshipful Frederic L. Putnam, Grand Lecturer; Past District Deputy Grand Masters, Worshipful Brothers Samuel Hauser and Warren B. Ellis; and Masters and Past Masters of lodges as follows: Leon M. Abbott of Columbian Lodge. Edward L. Reynolds of Massachusetts Lodge. H. F. Ehlert of Germania Lodge, John M. Simpson of Temple Lodge. F. A. Hortter of Henry Price Lodge. Walter A. Ladd of Faith Lodge, Sherburne X. Miller of Lafayette Lodge. William D. Swan of Pequossette Lodge, Right Excellent Charles R. Fultz, District Deputy Grand High Priest, and others whose names we did not get. Right Worshipful Edward G. Graves, Senior Grand Warden, arrived at a later hour. A pleasing incident of the evening was in connection with the reception of the Grand Master, who gracefully con-eluded his remarks in acknowledgment of his reception by calling on Right Worshipful Brother Root to respond to the welcome of the Master of the lodge. At the conclusion of the work of the evening speeches were made by the Grand Master, by Right Worshipful George H. Perkins and Right Worshipful George J. Tufts. St. John's Lodge, A. F. & A. M.. held its 174th annual meeting Monday. December 2. This old lodge, which will enjoy the unique privilege of reaching the age of 175 years at its next annual gathering. is in a remarkably prosperous condition, with a membership of 606 brethren. During the last two years it has added $3,100 to its permanent fund. Great interest is manifested in its approaching 175th anniversary, which will take place next October. The Committee that has the affair in charge have already $2,500 in hand toward the expense attending the celebration of the important event; and it is said that much more will be furnished when it shall be required. There is a determination on the part of those entrusted with the observance that it shall transcend in every way anything ever attempted by Freemasonry on this continent, no matter of what branch or degree. Before the Worshipful Master, David T. Montague, had announced that the election of his successor was in order, the Senior Warden, Leonard G. Roberts, sprung a surprise, so far as all but a few were concerned. On behalf of the officers he presented to the Master an elegant Past Master's apron, as a testimonial of their appreciation and their high regard for him, which had been accentuated during his two years' incumbency of the chair. The recipient was deeply touched at the mark of distinction, and said it was something that he would consider among his most valued treasures. It would always signify two of the most joyous years of his life when he was surrounded by officers wdio had worked hand in hand with him fur the glory of the lodge. Their co-operation had been all that could be desired and fur this reason his task hail been very light. The election of officers followed, and with those appointed the list is as follows: Leonard G. Roberts, W. M.; Frederick J. Brand. S. W.; John C. Hurll, J. W.; Edmund H. Talbot (P. M.), Treas. : Frank M. Copeland, Secretary; Rev. Webster H. Powell, Chaplain; Rev. George A. Phinney, Associate Chaplain; Rt. Wor. Albert B. Root, marshal; Morrill L. Perkins, S. D.; Walter L. Hendricks, J. D.; Frederick S. Fogg, S. S.: George L. Sleeper, J. S.: Otto C. Scales. I. S.; Charles S. Johnson, Organist; Edward F. Jacobs, Tyler. Past Deputy Grand Master Shepard officiated as installing officer, with Past Master Heath as Marshal. Worshipful Master Roberts is the 17th among those living who have occupied the oriental chair in St. John's Lodge. The oldest surviving past master is Theodore H. Emmons, who presided in 1865, and it has had in its ranks a Deputy Grand Master (Harvey N. Shepard), and District Deputy Grand Master (Albert B. Root). Next to the founding of Freemasonry on the Western Continent, no event of deeper importance in its history has transpired than the celebration of the 175th anniversary of St. John's lodge, Boston, which took place on the fourth, fifth, and sixth days of October of the present year. The event had been long anticipated and ample provision made for a celebration that should be commensurate with the dignity and value of the history and influence of the venerable lodge. Moved by sentiments of gratitude to an Over-Ruling Providence that has preserved the lodge during the vicissitudes of one hundred and seventy-five years, and by the conviction that Freemasonry and Religion move hand in hand for the uplift of humanity, the exercises were begun with a religious service in Tremont Temple on Sunday, October 4th at three o'clock in the afternoon. Previous to that hour the lodge had been opened in Masonic Temple where the members and their distinguished guests assembled and formed in line to march to the place of worship. Tremont Temple, — with the members of St. John's lodge and their numerous guests, was well nigh filled to overflowing. Many of the occupants of the balconies were ladies who appeared to take a great interest in the proceedings. On the platform was seated Worshipful Leonard G. Roberts, master of St. John's Lodge, several clergymen, among whom was Bishop John W. Hamilton, Most Worshipful J. Albert Blake, Grand Master of the Grand Lodge of Massachusetts with his suite, and Grand Masters of other jurisdictions as follows: Pennsylvania, George B. Orlady; South Carolina, J. L. Michie; New Hampshire, Frederick W. Sawyer; New York, S. Nelson Sawyer; Nova Scotia, Charles R. Smith; Virginia, Joseph W. Eggleston; Rhode Island, William L. Chatterton; Maryland, Thomas J. Shryock; Connecticut, Edward E. Fuller; North Carolina, Samuel M. Gattis; New Jersey, William D. Wolfskeil; Delaware, Thomas J. Day; Maine, Edmund B. Mallet; Vermont, Leo S. Tillotson. "It was 175 years ago, in the building then known as the Bunch of Grapes Tavern, that the first lodge of Freemasons was organized in Boston, and this is the event in recognition of which we are here met today. For the observance of this historic event St. John's lodge thought it well to invite to participate with us in these anniversary exercises the Most Worshipful Grand Master of Masons in Massachusetts, the Grand Lodge of Massachusetts and the Grand Masters of the leading and oldest Masonic jurisdictions in this country. "Recognizing the importance and significance of this event, they have all most generously responded, and because of their well known loyalty and devotion to the principles of Masonry we enjoy the proud privilege of welcoming these distinguished Masons as our guests. "And, too, it was thought that in a celebration of such a character the Masons of Massachusetts would desire, as far as possible, to have a part, and so a fraternal invitation was extended to them to join with us in these exercises. Here again the response has been most generous, and we regret exceedingly that while more than 185 Massachusetts lodges are here represented, yet, by reason of lack of room, hundreds seeking admission have been denied." "Here is this book (pointing to the Bible); amid the wreck of languages and crush of literature it is here. Other books have been eaten up by the decay and oblivion of the centuries. But this law of the Lord endures to all generations. The prophecy of this scripture is literally fulfilled. "It was faith in God alone which gave distinction to the Jewish nation. But in every nation he that feareth Him and worketh righteousness is acceptable to Him. And this is the distinctive feature of the Masonic fraternity. The latest historian says that the fundamental principle of Freemasonry is a belief in God. No Mason ever was or ever can be an atheist, theoretically or indifferently so. The belief in God is the secret of all organization. It brings to the same likes and dislikes, it is faith in (iod as the source of all truth and righteousness which ennobles character and exalts the nation. "And the hope of the American republic, like that of the Hebrew monarchy and that of the Britons, must be found in their faith in the dictation of (iod in civic affairs. The strength of England, like that of the Hebrews, was not in fleets, but in her Cromwells and Victorias. "We here today are more indebted to our Bradfords and Winslows, our Sumners and Roosevelts, than to mountains of gold and rivers of oil. Our Anglo-Saxon blood has been overworked in our Fourth of July orations. Faith in God, not blood, or wine, or powder, guarantees our national greatness; but if we must have powder, let us have good powder and plenty of it. "There has never been a time when the world would be in greater stress without God than on this Oct. 4. This is not a time to go swapping angels in the night just for the excitement of the bargaining. There can be but one universal empire. "Without God all government is anarchy and the only cure for anarchy is the monarchy of Jesus Christ." The musical portion of the program was of a high order and was under the direction of Brother Charles S. Johnson, organist of St. John's Lodge. The singing was by five of the leading male quartets of Boston, the Adelphi, Albion, Harvard, Schubert, and Weber, all the members being Masons. The musical effect of the combined voices of the quartets in one chorus was grand and in perfect harmony with the dignity of the occasion. The entire church service was most impressive and fittingly opened the commemorative exercises of the notable event. The God of our Fathers has led all the way. The God of our Fathers is leading us still. The God iif our Fathers will lead to the end. The God of our Fathers will lead to the end. God rules in his heaven, and is ever our King. The exercises of Monday began in Masonic Temple at 2 o'clock P.M. The first feature was the reception of the Grand Masters of the several jurisdictions. Worshipful Brother Roberts addressed each with cordial and appropriate words as he was received. A touching incident was the welcome extended to Governor Guild as he entered, it was most hearty and prolonged and expressed the pleasure of the brethren in seeing him after the protracted illness which has afflicted him during the past year. He extended greeting in the name of the Commonwealth. There was a special appropriateness in this act as his father is a member of St. John's Lodge and on a former occasion accepted in the name of the lodge two of the famous oaken bunches of grapes which hung over the entrance of the tavern in which the lodge was instituted in 1733. These bunches were given to the lodge, which now treasures them among its most valued possessions, in connection with the celebration of the 150th anniversary of its birth in 1883. Another interesting incident was, presentation to St. John's Lodge bv Right Worshipful Albert H. Hunter, in behalf of Bristol Lodge, of Bristol, Maine, of the Masonic Diploma received by Commodore Samuel Tucker from St. John's Lodge, Jan. 30, 1779. "Freemasonry, as we know it, can be traced back a little more than 800 years. In 1717, the four old lodges of London met in the Apple Tree Tavern and constituted themselves into a Grand Lodge. One of the first resolutions which they adopted was that the privilege of assembling as Masons, hitherto unlimited, should be vested in certain lodges convened in certain places and authorized to act by a warrant from the grand master; 'and without such warrant no lodge shall be hereafter deemed regular or constitutional.' This action of the London lodges met with general approval, a complete change was wrought in practice, a fresh impulse was given to Freemasonry, and regular warranted lodges under the authority of the Grand Lodge of England were established throughout Great Britain. "Six years later there came to Boston Henry Price, who was born in London in 1697. Later he went home again and returned to Boston in 1733, bringing with him the famous deputation as Provincial Grand Master, which made the beginning of organized Freemasonry in North America. "Henry Price and the ten immortal brethren (all of whom had been Masons in Kngland), Andrew Belcher, Thomas Kennelly, John Quann, Henry Hope, Frederick Hamilton, John McNeal, Peter Hall. Matthew Young, John Waddell and Edmund Ellis, whom he called around him, formed St. John's grand lodge, the first organization established in North America, on Monday. July 30, A. 1). 1733, at the house of Edward Lutwych, at ye S1gn of the Bunch of Grapes in King's street, in Boston. 'The following year Price received authority from Grand Master Crawford to establish Masonry in apl North America. Full of zeal and knowledge, he went vigorously to work. On Aug. 31, 1733, he constituted the first lodge, usually called the 'Mother lodge,' to be holden at the Bunch of Grapes Tavern in King street on the second and fourth Wednesdays in every month, dating its charter July 30, on which date the 'brethren having regularly met at the house of Edward Lutwych at ye sign of the Bunch of Grapes in King street. Boston, New England,' had unanimously 'agreed to petition our Right Worshipful Mr. Henry Price, Provincial Grand Master, to constitute them into a regular lodge.' "
At this point the speaker gave an extended account of the career of St. John's lodge, quoting at length from the records of both the "Mother Lodge" and the grand lodge, and showing how Masonic bodies in various parts of the country sprang from them. He also told the story of the institution of the Massachusetts Grand Lodge by Gen. Joseph Warren and the union of the two in 1792 to make the the Grand Lodge of today. "Brethren we now have traversed hurriedly one hundred and seventy-five years of our history, and are met today to celebrate our anniverwary. It is eminently fit and proper that our own Grand Lodge and these distinguished representatives of our sister lodges, and the grand masters of the old Provinces of the Dominion of Canada and of the original States of our Union, should join with us in the celebration, since they have a part as well as we ir the early history of St. John's lodge. From the little band of ten brothers, who met upon the thirtieth day of July in the year 1733 and constituted the First Lodge upon this continent, our Institution has grown and prospered until now its members, thousands in number, are found in every Province of the Dominion of Canada and in every State of the United States. "Why has Freemasonry not only survived for one hundred and seventy-five years but also has flourished exceedingly? It is a long period of time and one in which the changes of the condition of society have been so great that many other institutions which began with it have perished. Then a trip to Boston and return, even within the limits of our own Commonwealth, look a week of tedious traveling: now, one can come to Boston and return in a few hours, traveling many miles: while the fast trains of our great railroads will take one more than a thousand miles in twenty-four hours. In 1733 there was not a cotton or woolen mill with a power loom in the country; not a cooking stove, or a wagon with springs; no railroad or telegraph, sewing-machine or reaper: not even a common match. Men worshipped God in churches without stoves or furnaces, during the severe winters. The world in these days has grown very small in time and space. We reach Europe in five days; we correspond by telegraph with our friends in London with the same ease as with our friends in New-York; we talk by telephone with our friends in New York, three hundred miles off, as readily as with out-friends in Boston; and we do business with a bank in Calcutta as speedily as with one in Chicago. Our modes of communication have been so perfected that time and space have been conquered, and the whole world is brought to our fireside with each morning's issue from the daily press. The whole human family are brought in touch one with another; our knowledge of mankind is increased ; our horizon is broadened; and our sympathies are quickened. "Freemasonry is the same today as it was then. The mysteries of the ancient peoples have faded from the minds of men; but evolved from them, purified and enriched by the Divine Word, moulded and fitted to meet the needs of modern thought. Freemasonry has survived to bless the world. It has served to unite diverse orders, to break down bar riers which have long divided, and has caused men to meet on the level where all other measures have failed. "In the Revolution, the beginning of the history of our country as a nation, Freemasonry held a most prominent place. George Washington and most of his generals were of our Brethren, as also were fifty of the signers of the Declaration of Independence, and their names are held in reverence and honor, not only by our coutrymen as eminent citizens, but also in our Fraternity as distinguished Masons. A half century went by and the change in public opinion drove DeWitt Clinton from the governor's chair of the state of New York, and contributed to the defeat of John Quincy Adams as President of the United States. Many brethren withdrew from their lodges, many lodges surrendered their charters, and when our brethren did come together, it was in private houses, and at the peril of their social standing, ancleven of their property and persons. While many fell by the wayside, many more remained true, holding fast the principles and virtues of our Craft, until at last the people began to recognize and admit their error, and lodges mice more came into life. In the dark days of the Rebellion when the smoke of battle cleared away, you could see the silver line of Masonic friendship running from hearts loyal in the north to hearts sincere in the south, binding together the men whose lives had been tested by the level and the plumb and the square, and finally helping to lill the bloody chasm and cover it with the olive leaves of peace and union. "Withdrawing from the gaze of the world, asking nothing from its favor, independent of its power or opinion, Freemasonry lives a law unto itself. It stands for liberty. Every candidate must be a freeman: and, after his admission, he cannot remain a Mason without remaining free. It allows no shackles on body, mind, or soul. No slave-chains clank at its altars; no mind is curbed in its ambitions; and no soul is bound by narrow creed. It has ever been an army of volunteers. There never was a conscript in its ranks. Its pathway never was stained with blood; it never made the earth a slaughter-house; but in all time, among all peoples, everywhere, it has taught a simple faith; equality in its ranks, fraternity among its members, charity to its unfortunate. To call one's self a Mason and despise the Golden Rule is an inconsistency. To profess to be a Mason and not to keep the moral law is a fraud. The white apron of purity is our badge, and there is not a tool or an implement of our Craft which is not the symbol of virtue and duty. The plumb reminds us to walk uprightly; the trowel to spread the cement of brotherly love; and the square and compasses to guard our actions by righteousness and to keep our passions within due bounds. "Freemasonry teaches that material achievements are by no means the greatest achievements of which man is capable; and that he may from the heart of the mountain bring forth the ore there by nature stored, he may form iron bands and stretch them across the continents, and thereon he may speed his engine of steam and flame, he may chain the lightning, he may flash his thought from land to land, he may talk with his brother hundreds of miles away, he may weigh suns and moons, and yet come far short of the possibilities of one who is made in the image of God. It is when he shall add devotion to his Maker, and love to his fellow-man, and the genial spirit of fraternity shall possess his soul, that then and not till then he will rise into the realm of his greatest development. "Freemasonry lifts man to higher ideals, develops his moral nature, broadens and deepens his possibilities, and permeates him with the idea of the brotherhood of man. It is its glory that under its influence the walls of prejudice and bigotry, which would separate men, have been broken down, and that men of every race and tongue can come, not as strangers, but as children of one Father, around its altar, and unite in adoring the one and common Father of us all. "My Brothers of St. John's Lodge, the past is secure, a glorious record of which we are justly proud. For one hundred and seventy-five years this Lodge has exercised its beneficent influence in this community. One hundred and seventy-five years it has striven, together with all the other means which God has appointed for such end, to transform the rough ashler of human life into that perfect product which it was meant to be. It has done its part in the ennobling of our race; it has gathered about its altar upright and manly men cemented together by brotherly love and affection; it has bound its members to aid, support, and protect one another; it has inculcated temperance, fortitude, prudence, and justice. For one hundred and seventy-five years it has consecrated those, who sought its shrine, to the following of that wisdom which shall beget strength and beauty of character; and it has guided them by faith, hope, and charity, to that starry decked heaven where the Supreme Architect of the Universe presides. "The present and the immediate future belong to us. Here within our sacred borders hand grasps hand in friendship, and like those who gathered about the Round Table of Arthur the King, we share our social joys. Here tolerance holds its seat and power, and meeting upon the level we part upon the square. Here liberty and equal ity are our watchwords and each may confide in those about him, and find help and encouragement in the midst of misfortune and sorrow. Here faith in all which is high and holy is abundantly encouraged, and we are taught abiding hope. Here the Holy Bible is opened before us and we are ad monis-hed to make it the rule and guide of life. Here by square and compass we are warned to govern our actions and keep our passions within due bounds. Here symbol and ritual are evoked to call forth all which is best within us. "Brotherly Love, Charity, Fidelity, and Truth, born far back among the mysterious shadows of the east. guarded and guided through the darkness of ages by Divine Providence, they have descended to us as an heritage and an inspiration which shall endure until the heavens shall roll together like a scroll, and the echo of the Archangel's last trumpet shall be lost in an empty void. "Sometimes, Brethren, we have watched a ship go out from our harbor, and our eyes followed the receding sails until they were lost beyond the curve of the horizon. The darkness of night has settled upon the deep, the storm has arisen in its wrath, the fierce winds howl though the sails, and the great waves break upon the decks; but in the glad light of the morning the shin has held on ils course, safe and unharmed. So it is with St. John's Lodge. Some of the timbers are old, the waves of passion and prejudice have beaten upon them, and the tempest of ignorance and calumny has driven the craft as if to the verge of wreck and ruin; but it sails on today staunch and strong, with all canvas spread to the favoring breeze, and at the masthead the proud banners, with those time-honored mottoes: Faith, Hope, and Charity, but the greatest of these is Charity. "May the blessing of God rest upon us, may brotherly love prevail, may every moral and social virtue cement us, and may the valuable tenets of our Institution be transmitted through this ancient and honorable Lodge pure and unimpaired from generation to generation forever." Following the oration of Right Worshipful Brother Shepard an address was made by Right Worshipful Sereno D. Nickerson, Historian and Past Grand Master of the Grand Lodge of Massachusetts. Brother Nickerson was introduced as one who is known and loved by all the Masons of Massachusetts, while throughout the country he is none the less held in great esteem. He remarked that he had been asked to give recollections of some distinguished members of St. John's Lodge and added that even to name them would take longer than the time at his disposal. He would therefore content himself with some facts concerning Josiah Quincy, the second mayor of Boston, who had been a congressman and likewise president of Harvard College. He joined the craft in 1795 and welcomed Lafayette on his visit to this city. The historian went on to relate many facts pertaining to the man, who, had he desired, could have been Boston's first mayor, but preferred that his friend should hold the office before him. An incident not on the program came next. Grand Master Eggleston of Virginia, addressing the Worshipful Master, said that when he received his invitation to come he decided to bring something of a practical nature as a mark of appreciation of the honor conferred on his Grand Lodge. "You have the oldest lodge in America," he remarked. "but we have the oldest Masonic building. It was erected in 1785 in Richmond and has never been used for any other but Masonic purposes. It has not missed having a meeting there hut once, and that was in 1812. when troops were granted its use for a night. In 1824 Lafayette visited the lodge and was made an honorary member. "Virginia should and does love Massachusetts, no matter what had happened in the past," and in that connection he gave instances of how lives had been saved — southerners had spared northerners and vice versa — owing to the bonds of Masonry. In token of his visit he desired to present a souvenir, from a Virginia Mason to a Massachusetts Mason. It was a square and compass formed of nails taken from the old Richmond hall, and attached to a silver shield. On the back is the inscription relating to the incident of the presentation. Worshipful Master Roberts made a very happy response to the speech of the Grand Master of Virginia and said St. John's would ever value the memento in the highest light. At the conclusion of the historic exercises the lodge and its guests repaired to the banquet hall which was decorated in an elaborate manner. Its walls were festooned, the pillars were hung and the ceiling roped with laurel in which numberless small electric lights, partially concealed, presented a charming effect. The bunch of grapes, the historic symbol of the lodge, was made the prominent decorative feature, all the arc lights being covered with hunches of grapes and maple leaves. Above the seat occupied by the Worshipful Master of the Lodge, Leonard G. Roberts, who presided, was a shield in electric bulbs with the tools of the craft and the dates 1733 and 1908. On either side were the seal of the Grand Lodge of Massachusetts and of the Commonwealth. The Schubert Quartet, which sang for the diners, was seated under the name "St. John" in blue incandescents. The banquet was elaborate in detail and in quality and was a fitting introduction to the speeches which followed. Worshipful Master Roberts acted as toastmaster and extended a warm welcome to his distinguished visitors, He read a letter from President Roosevelt conveying his congratulations upon "the magnificent record of 175 years" and "his appreciation of the invitation which he was unable to accept." A letter from the Duke of Connaught, Grand Master of the Grand Lodge of England, expressing "the fervent hope that the prosperity of the long period now commemorated might continue." A letter from Curtis Guild, the oldest member of St. John's Lodge and the father of Gov. Guild, was read regretting his inability to be present and enclosing the following sentiment: "Here's to life wherever our banner's unfurled. Here's brother to brother all over the world." A letter was also read from the Grand Master of Georgia, the only one of the Grand Masters of the original thirteen states who was not present, in which he explained his absence and conveyed his regrets and greetings. The distinguished guests were next introduced and a series of elo-quenl and witty speeches of rare merit followed. The first to speak was J. Albert Blake, grand master of the Grand Lodge of Massachusetts. He spoke for Masonry of Massachusetts and was warmly received. He was followed by Judge George B. Orlady, Grand Master of Pennsylvania, who held the attention of the brethren by a brilliant and witty address of genuine merit. As might have been expected by those familiar with the rival claims of Massachusetts and Pennsylvania, as the home of the first Masonic lodge of America, he was loyal to the claim of Pennsylvania and made a good showing for his state. We take no exception to what he said. The facts are all well known, if, however, his facts had been supplemented by some other well known facts from the records in the archives of the Grand Lodge of Massachusetts the inference would have had a far different significance. We suspect, however, that the genial Brother was more bent on interesting his audience with a facetious speech than winning from them a verdict of assent to his claim. The other speakers, and the sentiments to which they responded, were as follows: "Masonry in South Carolina," Grand Master Michie; "Masonry in New Hampshire," Grand Master F. W. Sawyer; "Masonry in New York," Grand Master S. Nelson Sawyer; "Masonry in Nova Scotia," Grand Master Smith; "Masonry in Virginia," Grand Master Eggleston; "Masonry in Rhode Island," Grand Master Chatterton; "Masonry in Maryland," Grand Master Shryock; "Masonry in Connecticut," Grand Master Fuller; "Masonry in North Carolina," Grand Master Gattis; "Masonry in New Jersey," Grand Mater Wolfskeil; "Masonry in Delaware," Grand Master Day; "Masonry in Maine," Grand Master Mallet; "Masonry in Vermont," Grand Master Tillotson. The speech of Grand Master Charles R. Smith of Nova Scotia was unique in its claim for Masonic antiquity. He went far back of the claims of both his Massachusetts and Pennsylvania brethren and found the beginnings of Masonry in the garden of Eden. In the course of his remarks he also made many references to the little unpleasantness of the older days and said that he "was glad as a Britisher to say that the old feeling of hatred is gone and that we love your country today and believe that the feeling of sympathy and brotherhood is fully reciprocated." Each of the other speakers offered congratulations and greetings from his jurisdiction, and all made allusions to their indebtedness to the lodge whose guests they were. Frederick W. Sawyer of New Hampshire claimed for his state the oldest living Mason in the United States, and probably in the world, James R. McGregor of Mt. Vernon Lodge nf Newport, who was 107 years of age last August, and who was made a Mason in 1827 in Portsmouth. The Grand Master of New York. Judge S. Nelson Sawyer, was heard with earnest attention while he related the story of the great charitable enterprises which are maintained by the Masons of the Empire State. Thomas J. Shryock of Maryland was also given special attention because of his term of service, he having been grand master of the Masons in his jurisdiction for 23 years, a record never equalled on this side of the Atlantic. The program was not completed until a late hour when all joined in singing "Auld Lang Syne." While the brethren were engaged at the banquet, Mrs. J. Albert Blake, wife of the Grand Master of Massachusetts, Mrs. W. H. L. Odell, with the wives or daughters of the visiting Grand Masters, attended a theatre party in the evening on invitation of the manager of Keith's. After that the wives of the Past Masters of St. John's Lodge as well as the visiting ladies with the Grand Masters were entertained at supper by Mrs. Blake at the Parker I louse, and enjoyed a parlor entertainment later. The commemorative exercises of St. John's Lodge were brought to a close on Tuesday, Oct. 6. The features of the day were distinctly social in character and carried out in the same generous manner that had characterized all of the events of the celebration. During the morning the guests enjoyed an automobile ride to Newton, Wellesley, Waltham and the site of the historic battlefield in Concord, previous to which a visit was made to the state house. In the afternoon the visiting grand masters were entertained at a dinner by Grand Master Blake, on behalf of the Grand Lodge of Massachusetts. Other officers present were Deputy Grand Master Odell, Senior Grand Warden Belcher, Junior Grand Warden Roberts, Past. Deputy Grand Master Benton, Grand Secretary Davis, Grand Marshal Johnson, Worshipful Master Roberts of St. John's lodge and Past Deputy Grand Master Shepard. Leonard G. Roberts, WM of St. John's and Mrs Roberts; J. Albert Blake, GM of Massachusetts, and Mrs. Blake; George B. Orlady, GM of Pennsylvania, and Miss. Orlady ; J. L. Michie, GM of South Carolina, and Miss A. R. Odell; Frederick W. Sawyer, GM of New Hampshire, and Mrs. Sawyer; S. Nelson Sawyer, GM of New York, and Mrs. Sawyer; Charles R. Smith, GM of Nova Scotia, and Mrs. Smith; Joseph W. Eggleston, GM of Virginia, and Miss Eggleston; William L. Chatterton, GM of Rhode Island, and Mrs. Chattcrton; Thomas J. Shryock, GM of Maryland, and Mrs Shryock; Edward E. Fullei, GM of Connecticut; Samuel M. Gattis, GM of North Carolina, and Mrs. E. C. Benton; Thomas J. Day, GM of Delaware, and Mrs. Day; Edmund B. Mallet, GM of Maine, and Mrs. Mallet; Lee S. Tillotson, GM of Vermont, and Mrs. William H. L. Odell. A musical and literary entertainment of excellent merit followed which was highly enjoyed. While this feature was in progress the banquet room was open for the collation, the guests being served at small tables. The menu was of a choice character and was continually replenished during the entire evening. Dancing was enjoyed by a large party from 9.30 to 1 o'clock. Apron presented to Commodore Samuel Tucker by St. John's lodge Jan. 30, 1779. Silver pitcher presented by St John's lodge to John Dixwell, M. D., R. W. Past Master in 1817 and later given to the lodge by John Dixwell. M. D., his grandson, June 1, 1903. Punch bowl purchased by the First Lodge in Boston and used for many years as occasion required. Bunches of grapes that hung over the entrance to the Bunch of Grapes Tavern, corner of State and Kilby streets, where St. John's lodge was instituted in 1733. Jewel presented to St. John's lodge, Boston. Oct. 5, 1908, by Joseph William Eggleston, GM of Masons in Virginia, on behalf of the Grand Lodge of Virginia. It is made of nails taken from Mason's Hall, Richmond. Ya., erected in 1785, and used continuously for Masonic purposes Ulone. to the present day, and was for many years the home of the Grand Lodge of Virginia. Bowl, the gift of Hugh McDaniel, DGM, to the First Lodge in Boston, 1749. Diploma issued to Commodore Samuel Tucker by St. John's lodge, Jan. 30, 1779, signed by John Cutler SGW, Job Prince JGW. Nathaniel Barber GS, and countersigned bv Nathaniel Patten WM, William Burbeck SW, Richard Salter JW, and Elias Parkman Sec. The gift of Bristol lodge of Bristol. Me. Certified copy of the original charter granted to St. John's lodge Feb. 7, 1783. Field's Bible, printed in 1666, and presented to St. John's lodge by Lord Colville in 1752. Jewels formerly used in St. John's lodge. Taken from ruins of the fire April 8, 1864. Gavel made of oak from the Old South Meetinghouse. Pitcher of rare pottery from which more than a century ago was dispensed liquid refreshment that ;idded to the conviviality of many Masonic gatherings. On one side are all the emblems of the craft beautifully brought out, and the other shows a large wreath, at the top the all-seeing eye underneath the mystic G.
Bowl, the gift of Thomas Oxnard, Esq., GM, of North America, to the First Lodge in Boston, 1749. Oliver Bible printed in 1807, presented to St. John's Lodge bv Rt Wor. F. J. Oliver. Bowl, the gift of John Rowe, Master of the First Lodge in Boston, 1749. Invitation for members of Mt. Lebanon Lodge to take a libation with members of St. John's lodge. April 7, 1812. It was issued from Exchange Hall and presented respectful assurances of love and esteem by the master, wardens and members of St. John's to the Master, Wardens and Members of Mi. Lebanon; also informing them that at 9.30 they would do themselves the pleasure to drink to the health and prosperity of Mt. Lebanon. Tt is impossible to mention all of the interesting features of the celebration of St. John's 175th anniversary. We can only hope to emphasize its importance and express the interest which every mason must have in the Mother lodge. Ller glory is not alone the glory of her members. Thousands of masons in every section of tin.' land are enjoying the beneficent influence of Masonic principle and association which might never have been their lot if St. John's Lodge had not transmitted its light to worthy men in days long past; hence her glory is the glory of every mason, her ancient history the inheritance of all, and all will unite in wishing for her an abundant prosperity, and that her light may never be dimmed or her usefulness impaired until the principles of Freemasonry shall rule the world and every man call the other Brother. Not 'till then will Freemasonry have done her work and until then may St. lohn's lodge live and work. A Memento of the 175th anniversary of St. John's Masonic Lodge, unique in design and rare because it was the only one made, has fallen to Edward F. Jacobs, Tyler of that lodge. The article represents a book, the outside covers being of attractive leather, and on the front the words and years — St. John's Lodge, 1733— 1908. Inside, on leaves of a dark-hued paper, are published accounts in connection with the observance, conspicuous being the exhaustive historical sketch, group picture of the Grand Masters and other features that appeared in the Press. There re likewise shown pictures of Henry Price, Joseph Warren, James Otis and Paul Revere, collated from publications; a production in miniature of the Henry Price tablet at the entrance to Corinthian Hall in the Masonic Temple; view of Green Dragon Tavern, where the lodge formerly met, with the contrast afforded by a sight of the present temple and two of its spacious apartments, Corinthian and Fraternity Halls. The seal of the lodge, the historical bunch of grapes, a miniature apron and altar help to embellish the work. A picture of Mr. Jacobs occupies one page. Another states that J. Curtis Ellis of Kensington lodge, 211, Philadelphia, and J. Clarence Dow of Roswell Lee Lodge, Springfield, are the donors. The origin of the gift is thus explained: "The conception of this little memento originated from a desire to present our friend and brother some token of remembrance and appreciation of the pleasant hours spent together and the many courtesies received at his hands. The 175th anniversary of St. John's Lodge suggested an idea that an account of the observance, completed and made into a book by our own handiwork, would be appreciated and convey our sentiments better than a gift of more intrinsic value." The annual meeting of St. John's Lodge, Boston, was held in Masonic Temple, Monday, December 6th, two hundred and seventy-five members being in attendance. Worshipful Master Leonard G. Roberts, who has completed two years of service presided at the preliminary banquet. He spoke in a congratulatory manner of the condition and prospects of the lodge which now has 660 members. Several additions have been made to the property of the lodge by the acquisition of relics and documents associated with its past history. Worshipful Master Roberts mentioned: the diploma of Commodore Samuel Tucker, presented by Bristol Lodge of Maine at the 175th anniversary celebration in October, 1908; the square and compass from the Grand Lodge of Virginia; the Lafayette autograph letter and plate, given by J. D. Perkins: the trowel and working tools made from nails and timbers taken from the old Masonic building in Richmond, Va., from Richmond-Randolph Lodge on the occasion of the visit of the Master last February; the daguerreotype of Past Master Pickman from Winslow Lewis Lodge last May; the jewel of Past Master Wallace, the first Master of Winslow Lewis Lodge, from his son, Mr. Wallace of Winslow Lewis lodge; the photographic copy of a diploma signed by Shubael Bell, Past Master, St. John's lodge, April 13, 1809, presented by J. E. W. Robinson, and the silver loving cup from the visiting Grand Masters attending the 175th anniversary celebration. After the address Senior Warden Brand, in behalf of the line officers, presented an elegant Past Master's apron to Worshipful Master Roberts, who, in accepting the gift, expressed his gratitude to the officers for their hearty co-operation in the past two years, and paid a warm tribute to the members for the encouragement they had given by words an attendance. Rt. Worshipful Harvey N. Shepard, past Deputy Grand Master, conducted the installation in a very impressive manner, and was assisted by James T. Wetherald, P. M., as Marshal. The new organization is as follows: Frederick J. Brand, Worshipful Master; John C. Hurd and Walter L. Hendricks, Wardens; Edmund H. Talbot, P. M., Treasurer: Frank M. Copeland, Secretary; Rev. Webster H. Powell, Chaplain; Rev. George A. Phinney and Rev. George W. Colson, Associate Chaplains; Leonard G. Roberts, P. M., Marshal; Frederick S. Fogg and Walter F. W. Taber, Deacons; Chester C. Whitney and Frank E. Cook, Stewards; Otto C. Scales, Inside Sentinel; Charles S. Johnson, oOganist, and Edward F. Jacobs, Tyler. St. John's Lodge, Boston, Mass., has entered on the one hundred and eightieth year of its career. Its annual meeting was held Monday, December 2d. The reports presented show the lodge in a strong financial condition. Before the election of officers an apron was presented to the retiring Master, Wor. John C. Hurll. The gift came from the Past Masters. The presentation was made by Brother Frederick S. Fogg who directly afterwards was elected to the office of Master. Past Master Leonard G. Roberts presided over the installation with the exception of inducting the marshal, and as he holds that office, the duty was performed by Rt. Wor. William H. H. Soule, PGW. Past Master James T. Wetherald was marshal for the ceremony. 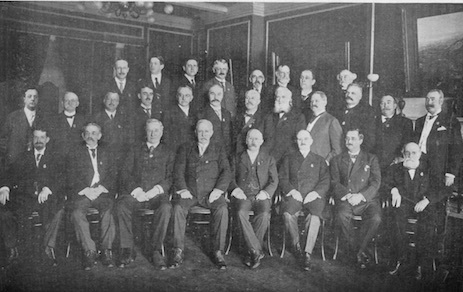 The elective and appointive officers, constituting the organization for 1912-13, are as follows: Frederick S. Fogg, WM; Walter F. W. Taber, SW; Chester C. Whitney, JW; Edmund H. Talbot (PM), T; Frank M. Copeland, S; Rev. Webster H. Powell, C; Rev. George W. Colson, AC; Leonard G. Roberts (PM), M; Frank E. Cook, SD; Guy C. Willis, JD; Dwight W. Sleeper, SS; Edward H. Palmer, JS; Otto C. Scales, IS; Charles S. Johnson, Organist; Edward F. Jacobs, Tyler. Past Master William S. Heath is the new Trustee of the Permanent Fund, and Past Master David T. Montague Associate Member of the Board of Masonic Relief. One of the most brilliant social functions that has been held in years by the members of St. John's Lodge, Boston, was held Monday, January 5th. It was the date of their regular communication. The brethren assembled at five o'clock, after attending to the business of the lodge, there was a reception of guests, this was preliminary to a banquet at six-thirty o'clock, which was followed by a concert and dancing. Grand Master Melvin M. Johnson was the distinguished guest of the occasion. He was accompanied by Deputy Grand Master Emery B. Gibbs, Senior Grand Warden Chauncy E. Peck, Junior Grand Warden Charles S. Proctor and other members of the Grand Lodge. Mrs. Johnson, Mrs. Gibbs and Mrs. Peck were the prominent ladies attending the Grand Lodge officials. Worshipful Master Frederick S. Fogg extended a warm welcome to the company saying that the lodge was to be congratulated on the large number of women friends in attendance, for their presence was always a great source of delight. He was not insensible of the honor conferred upon them by the fact that the first five officers of Grand Lodge, both district deputies whose jurisdictions include the temple lodges and many masters, were on hand. Addressing the grand master he said: "It is a special privilege to have this opportunity to receive you here so soon after your installation and I congratulate you upon your elevation to the exalted office which you are so well qualified to fill. A special honor has come to St. John's this year in your appointment as district deputy grand master of your college friend, Past Master David T. Montague, who, as well as his marshal, Past Master Leonard G. Roberts, is a member of this lodge. The company was invited to rise and drink to this toast, "To the Most Worshipful Grand Lodge of Massachusetts, the Grand Master, the Senior and Junior Grand Wardens, the Grand Treasurer, the District Deputy and his Marshal." Grand Master Johnson, in responding congratulated the lodge on its prosperity and said that it would be his effort whil head of the grand body to advance the cause of the fraternity so that it would continue to carry out the high ideals maintained it for nearly two centuries. The organization of the lodge is as folllows: Frederick S. Fogg, W. M.; Walter F. W. Taber, S. W.; Chester C. Whitney, J. W.; Edmund H. Talbot (P. M.) T.; Frank M. Copeland, S.; Rev. Webster H. Powell and Rev. George W. Colson, C.; Leonard G. Roberts (P. M.), M.; Guy C. Willis, S. D.; Dwight W. Sleeper, J. D.; Edward H. Palmer, S. S.; W. Harry Wood, J. S.; Alfred J. Guion, I. S.; Charles S. Johnson, Organist; Edward F. Jacobs, Tyler. St. John's Lodge of Providence R. I. Visits St. John's Lodge of Boston. The two Saints John, the patron saints of Freemasonry, were signally honored on Wednesday, Sept. 29, when members of the two oldest lodges in Massachusetts and Rhode Island, named for them, clasped hands in fraternal greeting. The occasion was a visitation of brethren of St. John's Lodge No. 1 of Providence to St. John's Lodge of Boston. One hundred and sixty members of the visiting lodge, with the Grand Master of Rhode Island and his suite, arrived at the Back Bay station at 6.30 o'clock, and were met by their hosts, who escorted them to the Temple. Supper was served immediately after their arrival, at which nearly 375 were seated. Each visitor was accompanied by a member of the Boston lodge, and good fellowship prevailed at the tables. Poole's Orchestra rendered popular selections, and between the courses songs were sung. A great hit was made by the singing of "Captain Magee" by Senior Warden Chaffee of the Providence lodge, the entire body of visitors joining in the chorus. On returning to the lodge room Worshipful Master Clarence H. Wall and members of the Providence lodge were formally presented to Worshipful Master Taber by Worshipful Frederick S. Fogg, and heartily welcomed. Then Most Worshipful http://masonicgenealogy.com/MediaWiki/index.php?title=RIGMBemis Reuben S. Bemis], Grand Master of Masons in Rhode Island, and suite were presented by Right Worshipful Albert B. Root, after which Most Worshipful Melvin M. Johnson, Grand Master of Masons in Massachusetts, and suite were introduced by Right Worshipful David T. Montague. The officers of St. John's then surrendered their chairs to the visiting officers, who raised a candidate according to the Rhode Island ritual. The Boston officers then performed a like service on another candidate, using the Massachusetts ritual. The work of both the visiting and local officers was excellent and was thoroughly enjoyed by an audience which filled the lodge room to its capacity. Remarks were made by Most Worshipful Grand Master Johnson, Most Worshipful Grand Master Bemis and Worshipful Master Wall. After a collation the visitors were escorted to the station by their Brethren and departed for home amid enthusiastic cheers. It was a great night for all present, and Worshipful Master Taber is to be congratulated upon the success attending one of the most unique and delightful affairs ever held in the Temple. Among the pleasing social functions given by the Boston lodges during the present season, none have surpassed in interest or been more highly enjoyed than ladies' night in St. John's Lodge, Monday, March 6th, in Masonic Temple. The lodge has one claim to the interest of the brethren that cannot be offered by any other. It is the oldest regularly constituted lodge in America. Age in this case is not a symptom of decay,— rather it is an inspiration for courage and vigor. This is shown by prosperity of the lodge which is the largest in Boston. The events of ladies' night began with an informal reception. Those in the receives line were Wor. Master Walter F. W. Taber and Mrs. Taber; Senior Warden Charles C. Whitney and Mrs. Whitney; and Jumor Warden Guy C. Wills. While the company of about three hundred were presented to the Master, Brother Saunier entered the ceremony with an organ recital. Among the invited guests present were: Most Wor. Melvin M. Johnson, Grand Master of Masons in Massachusetts, and Mrs. Johnson; Rt. W. Frank Vogel, Deputy Grand Master; Rt. W. D. Edward Miller, Senior Grand Warden and Mrs. Miller; Rt. W. Frederick W. Hamilton, Grand Secretary and Mrs. Hamilton and Miss Hamilton; R. Wor. W. H. H. Soule, Past Grand Warden; R. W. Howard M. North, District Deputy Grand Master, 1st Masonic District, and Mrs. North; Rt. Wor. Robert G. Wilson, District Deputy Grand Master, 2nd Masonic District, and Mrs. Wilson; Wor. Wm. M. Farrington, Grand Marshal and Mrs. Farrington; Wor. Arthur A. Sondheim, Junior Grand Steward and Mrs. Sondheim; Wor. George W. Chester, Grand Tyler. The brethren named have an official relation with the Grand Lodge. At 6.30 o'clock a substantial dinner was served during which the entire company joined in patriotic and humorous songs. Following the supper there was an entertainment and dancing continuing until midnight. A unique program of all the exercises of which the front was a lambskin apron was presented to each person as a souvenir of the occasion. The executive committee was composed of Wor. Master F. W. Taber and the Wardens, Brothers Chester C. Whitney and Guy C. Willis. Every incident of the program was admirably executed and the memory of the evening will be long cherished as a bright spot in the history of St. John's Lodge. St. John's Lodge, the oldest Masonic lodge in Boston and one of the oldest in the United States, acted as host April 4 in Masonic Temple to Gov. Cox and 215 members of the Legislature. The occasion was the annual "legislative night," and served to attract more than 665 lodge members to the meeting. Members of the Grand Lodge as well as of the St. John's Lodge greeted the guests. Gov. Cox, President of the Senate Frank G. Allen, Senator Leonard F. Hardy, Representative Frank E. Lyman and the Rev. Edward A. Horton spoke on fraternalism. Worshipful Master Dwight W. Sleeper presided. Gov. Fuller, President Wells and many members of the state Senate and House were of a party of 147 who were guests of St. John's Lodge A. F. & A. M. at the annual legislative night in the Masonic Temple, Boston, Monday evening April 6th. Among others of note who attended were Atty. Gen. Jay R. Benton, who is a member of St. John's Lodge; Secretary of State Frederic W. Cook; Clerk of the Senate William H. Sanger; Malcolm E. Nichols, Internal Revenue collector and Master of Aberdour Lodge; Edward C. B. Bagley, past District Deputy Grand Master; Geo. H. Dale, past District Deputy Grand Masterr; Senator Harry P. Gilford of Salem, Past Master of Essex Lodge; Senator Samuel H. Wragg, Past Master of Norfolk Lodge of Needham; William E. Dorman, counsel for the Senate; Fred H. Kimball, superintendent of State House buildings, and Harry D. Wiggin of St. John's Lodge, counsel for the House. Addresses were made by Gov. Fuller and President Wells. St. John's Lodge of Masons, instituted in 1733 as the first duly constituted lodge of Free Masons in the country, installed officers Monday, Dec. 1, at the Masonic Temple on Boylston Street, Boston, before 400 members, their ladies and other guests. Officers installed were: J. Chester Reed, Master; Frederic S. Hill, Senior Warden; Alexander S. Wright, Junior Warden; Starr A. Burdick, Treasurer; Ira M. Conant, Secretary; the Rev. Francis Jones and the Rev. Charles W. Havice, Chaplains; Robert G. Jennings, Marshal; John H. Granstrom, Associate Marshal; Karl W. P. Reece, Senior Deacon; Harold G. Smith, Junior Deacon; Arthur Fox, Senior Steward; R. Franz Reissman, Organist; Bernard T. Pond, Inside Sentinel; Clyde M. Dinsmore, Tyler. T. Frederick Brunton and Charles D. Tuckerman, a Past Master of the lodge, were installing Master and Marshal respectively. Aiding them were seven past masters of the lodge, including David T. Montague, Starr A. Burdick, Robert G. Jennings, Winthrop E. Nightingale, Reuel W. Beach, Allan W. Lufkin and Walter S. Hall. By Right Worshipful and Right Reverend Brian R. Marsh. Let us pray: Our Heavenly Father, we ask your blessing upon all who have assembled here; that they may live out the pure principles of their order in a spirit of love and grace; we pray that you will continue to bless and prosper this Lodge of Freemasons, gathered always in Your name and dedicated to the works of our hearts; remembering always that we live and move and have our being within the embrace of your beneficent love and protection; now and always. Amen. Today, as we gather in this historic building, we can't help but be aware that the founding of our great nation, the building of this church and the establishment of Saint John's Lodge were all accomplished within a very few years of each other. What is more, the same men often contributed their hearts and minds, as well as their physical labor, to the construction of these institutions-institutions created to serve both their present age and a future world, as yet unseen. Saint John's Lodge is two hundred seventy-five years old. We celebrate this moment. We celebrate the powerful expanse of time through which men have traveled in service to this Lodge. We celebrate this time. The journey through time is a journey that Freemasons know well. We do not become Freemasons in a single day or a few months. Though we may hold all the necessary papers, have signed the requisite books and learned the necessary words and symbols, our Masonic journey only begins with the conclusion of the Third Degree. And if we are fortunate, that journey will be a long one. Time seasons us. Time gentles us. Time draws us into the reality of Freemasonry. Freemasons are well aware that the attentive ear receives the sounds first heard upon our admission into the Lodge room. That first event in the life of a new Mason is a great gift from the Freemasons who have sponsored and received him. But it is reserved for the Third Degree that the greatest gift of charity is fully revealed. The attentive ear hears these words again and again: "the greatest of these is charity". Let us turn our ears toward that sound today. Let us reflect in this briefest of moments what it means to offer that gift of charity toward each other. Because this anniversary is all about the charity that one Mason may show to another. Saint John's Lodge has offered an expression of charity for two hundred and seventy-five years. We celebrate the thousands of charitable words and deeds, gifts of charity between brothers of the Craft that have formed the history of this Lodge. There was a day, ages and ages past, when the hearts of a few men in Boston gathered in brotherly love to celebrate and practice the ancient Craft of Speculative Masonry. How many since that time have been raised in Saint John's Lodge? There is a statistic somewhere that will tell us. How many thousands of men? Most who have been raised to the Sublime Degree of Master Mason are gone now. A few, very few, still gaze out from portraits we honor and preserve. But all the rest are lost to our memory. But on this day, we remember them all. The well known and the obscure. Brother Masons all. For a Lodge is not a building, nor the furniture that is placed there. It is not the charter or the volume of sacred law. It is not the book of constitutions or the ritual words implanted in our memories. Important as these things are, they are not the Lodge. The Lodge is the men who live and breathe and have their being within the walls consecrated to the use of Masons. A Lodge is alive only when it is filled with men; men who are called to move the architectural and spiritual tools with which to construct their own spiritual temples. These tools are passed to us from other Masons. These tools are entrusted to us, given to us in charity and brotherly love. There is a moment in all of our ritualistic endeavors that takes a most prominent place in all our work. It happens when a man reaches out his hand and grasps that of another; the hand of a Master reaches out to the youngest Mason and lifts him to a new place of being. The strong grip is designed to bring the man into a new life. The strong grip of a Master Mason is an act of supreme charity. It is an act that draws us together in as complete a bond as men may ever receive in this life. Thousands of men have joined this great and historic lodge. Each one of them received that great gift of charity. Each one was greeted with brotherly love and affection; each welcomed into this great and glorious fraternity. We honor our history here today. And we honor this great Lodge for its endurance through time. We also remember with great affection, those who have come before us. It was they who first stretched forth the hand of charity and lifted us to a new and brighter world. It was a great gift of charity. They knew it. And so do we. Let us pray: Our Heavenly Father, High and mighty ruler of the universe, grant, we beseech thee, the power to live out our Masonic commission as we have received it, giving to the world all the richness of spirit, the gifts of charity and brotherly love that have so enriched and ennobled our lives. Amen. by Right Worshipful Lawrence J. Smith, Jr. Most Worshipful Grand Master, Worshipful Master, brethren, family and friends of the Craft, it is truly an honor and a privilege to be with you this weekend and this evening. We gather here to celebrate the 275th Anniversary of Freemasonry in America and in point of fact what was known at the time as the new world. This is one of those rare instances when the birth of mother and daughter, the Most Worshipful Grand Lodge of Masons in Massachusetts and Saint John's lodge A.F. & A.M., were on the very same date only hours apart. As we now know Operative Masons were the builders of monumental edifices like the great cathedrals. On the other hand, Speculative Masons have been builders of men, dedicated to making good men better while those good men strive to make everything around them better. The blossoming of Speculative Freemasonry coincided with the enlightenment, also known as the Age of Enlightenment or the Age of Reason. It was during this era that intellectuals began to re-examine the standards and principles by which rulers governed. Ideas that were labeled 'liberal' at the time stated that government was an agreement or contract between the people and their ruler. In this contract both ruler and citizen had rights and responsibilities. Prior to this an agrarian world had been ruled by monarchs and emperors whose right to rule was validated by their dominant local religion. The many labored for the benefit of the few. After the revolutions in America and in France a world view labeled democratic began to spread. It insisted that the voice of the governed, the voice of the people, must be heard and heeded. It was into those turbulent times more than 275 years ago that Freemasonry was launched in England, Scotland, Ireland and America. Throughout those times the spirit of Freemasonry nurtured and protected many of the independent rational free thinkers who provided the intellectual, spiritual and political leadership which lead these waves of change. That spirit is needed now more than ever. But there are four very serious threats to that spirit and at the risk of preaching to the choir I would like to reiterate them for you. In the Book of Revelation we were introduced to the four horsemen of the apocalypse. They are: pestilence, famine, war and death. These four horsemen are said to be the precursors to the end of days. The counterpart threats that stand ready to corrode the foundations and the vitality of Freemasonry in the twenty first century are also four. They are free riders, fitness, folly and finances. The term "free-riders", refers to those who take without giving back in a proportional way. They would be the equivalent of those who come to church services, enjoy the music, the message in the sermon, the pomp & ceremony and the fellowship, but give little or nothing in return. At the height of its influence in this country, Freemasonry was a very strict high maintenance organization to join and stay in. The cost of joining could be nearly one month's wages and you were expected to contribute time and talent as well as money. Like many other philanthropic initiatives, the Craft was interested in the three W's: wit, wisdom and wealth. In this country before there was social security, before there was Medicare, there was Masonic charity (in hospitals, in nursing homes and in neighborhoods). What Freemasonry offers, is a "set of goods and services" produced collectively. We offer a safe haven, a mutual support community, characterized by brotherly love, relief and truth. The presence of free riders fundamentally undermines the exchange ratio. This means that slowly but surely we must restore the balance in that exchange ratio. We must convert or purge the free riders. The term fitness refers to the need for life extension for all of the craft and their families. We all stand on the shoulders of those who have gone before us. In standing on their shoulders the legacy of those who have gone before us has given us the opportunity to have a running start. It is now our turn to "pass it on," to leave our own legacy. In this Commonwealth, indeed in this country, we are experiencing a significant resurgence in curiosity about and interest in Masonry. The average age of a lodge member is getting lower for the first time in a while, but... we are not done yet. We have miles to go before we sleep and ... more promises to keep. In order to facilitate that process, we need "bake" into the very fiber of our recurring Masonic activities, an increased focus on nutrition, exercise and rest. The meals that we feed one another should extend our lives not shorten them. The term folly refers to those old bugaboos: elitism, managerial hubris and the arrogance of power. The backbone of Freemasonry is the Lodge. One of the pitfalls of smaller not-for-profit organizations is the governance structure. It is possible for a small group of brethren to turn a Lodge into a private men's eating club operated for the benefit of a few. Problematic as this is, there is an even greater folly danger. If we do not remember our first principles and hold ourselves accountable, it is possible for the leadership, at any and every level, of a service organization such as ours, to develop a sense of entitlement to perks and privileges. This can be closely followed by the arrogance of absolute power corrupting absolutely. By virtue of the blessings of the Grand Architect of the Universe and an effective governance structure we have avoided that peril. But to paraphrase one of our early American presidents we must never forget that the price of freedom is eternal vigilance. The term finances, refers to the ability of the brethren to put food on their own tables and to assure the economic vitality of their own lodges. During those times when the Craft was expanding its sphere of influence most dramatically, membership in the Craft was an important aspect of earning a living. We have heard the accusations of favoritism and nepotism leveled by the anti-Masons, and we should be on guard to prevent them. I believe that Masonry was important for a different reason. News travelled slowly while con men and hucksters abounded. It was often challenging to confirm that your business associates were using a moral compass similar to your own in directing their business activities. To be assured that your counterparty was a person of character and integrity, embracing the same tenets and guided by the same principles, believing in a supreme being and in the accountability and justice in life after death must have been great insurance in a commercial world fraught with risk and uncertainty. We can have a comparable impact today on the family finances of an individual man-of-integrity through training and education in the areas of leadership and personal financial management. By leveraging today's technology for both face to face and distance learning, our Masonic education committees enhance the preparation that the average brother needs to engage the world in earning a living. Moreover, by being better prepared both offensively and defensively to manage his own personal finances, our brother is much better prepared to participate in the management of the finances of the Lodge, be he Master or member. The Masonic Leadership Institute of the Most Worshipful Grand Lodge of Masons in Massachusetts has done yeoman's service for years providing managerial training to brethren that increases their effectiveness and efficiency whether employer or employee. So to recap, the four threats are free riders, fitness, folly and finances. We must convert or purge the free riders. We must 'bake' a focus on fitness into our regular Masonic activities. We must be vigilant in our war against folly. And finally, we must train our membership to manage their family & Lodge finances for the twenty-first century. These are times of danger and of opportunity. And there is still a role for Masons to play. Men of character & compassion. Men of intelligence & integrity with an interest in mankind. One man at a time! One Lodge at a time! One neighborhood at a time! One town at a time! One country at a time! One continent at a time! Due to the high proportion of lodge members involved in the early years of St. John's Grand Lodge, the grand officers for the period before 1792 are in their own section.